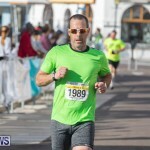 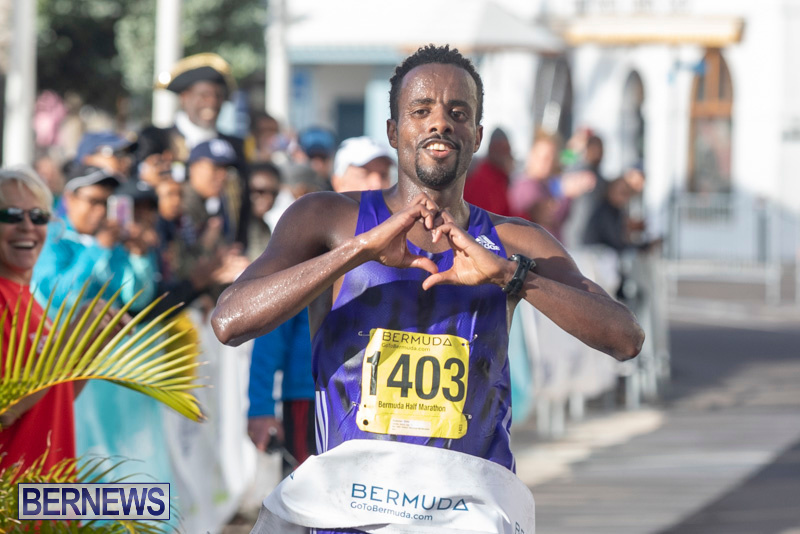 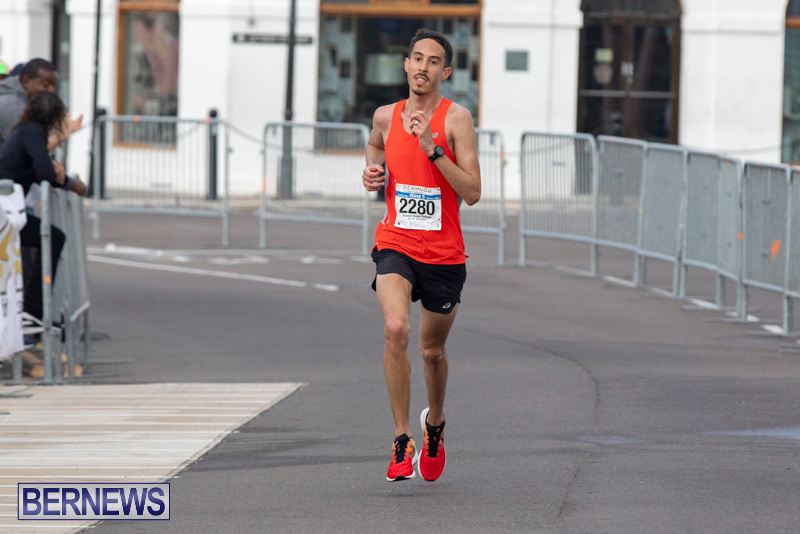 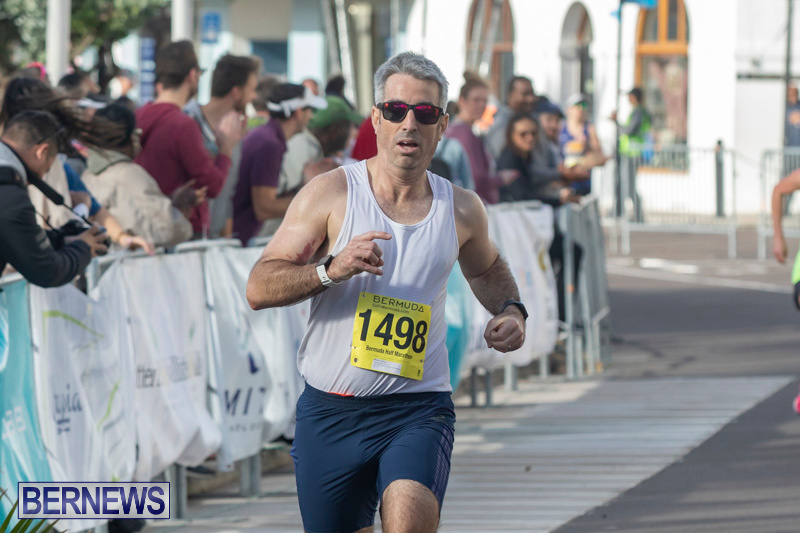 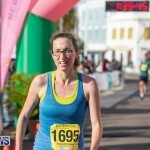 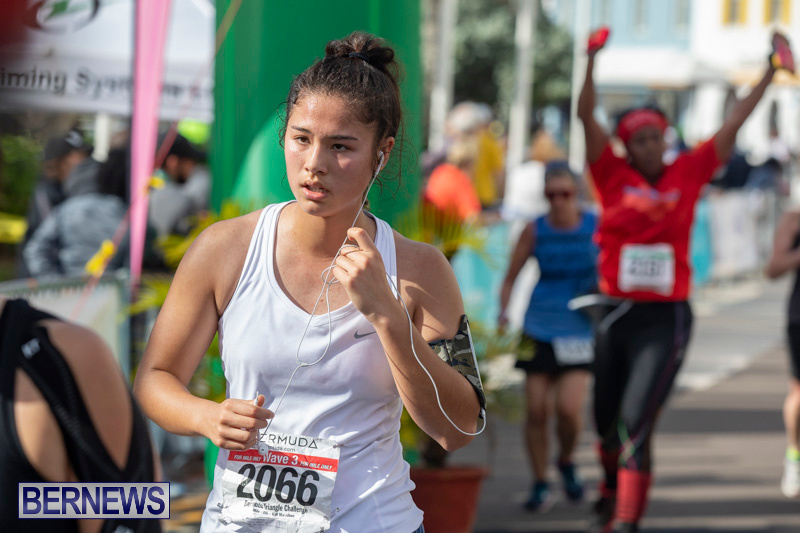 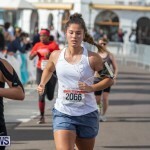 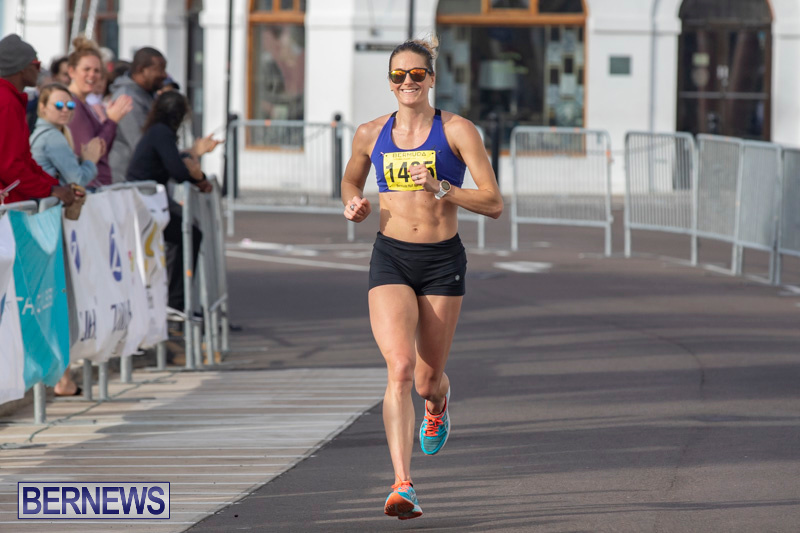 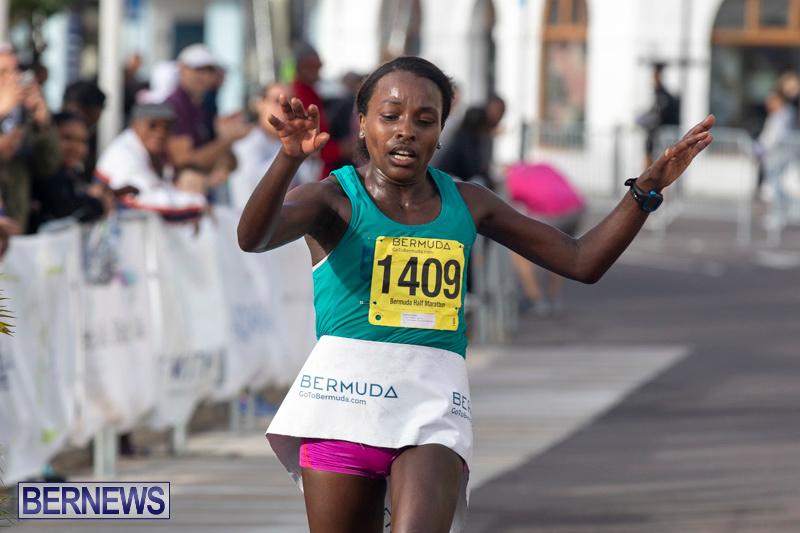 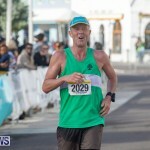 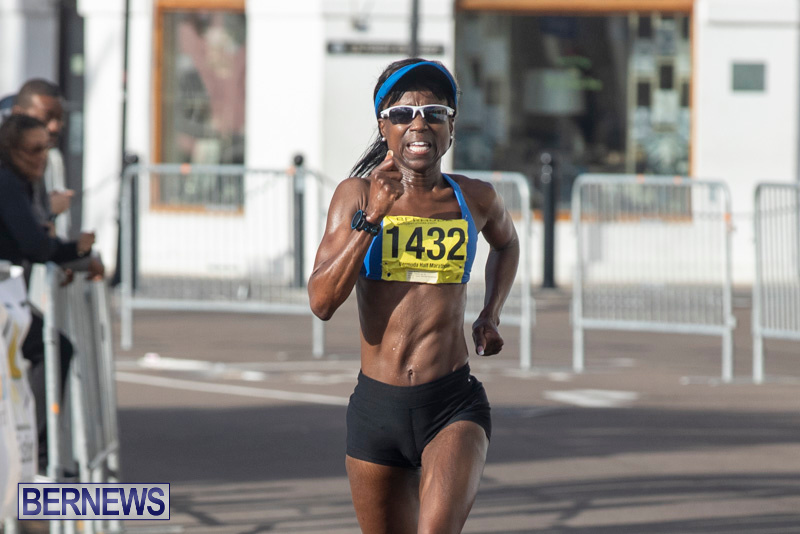 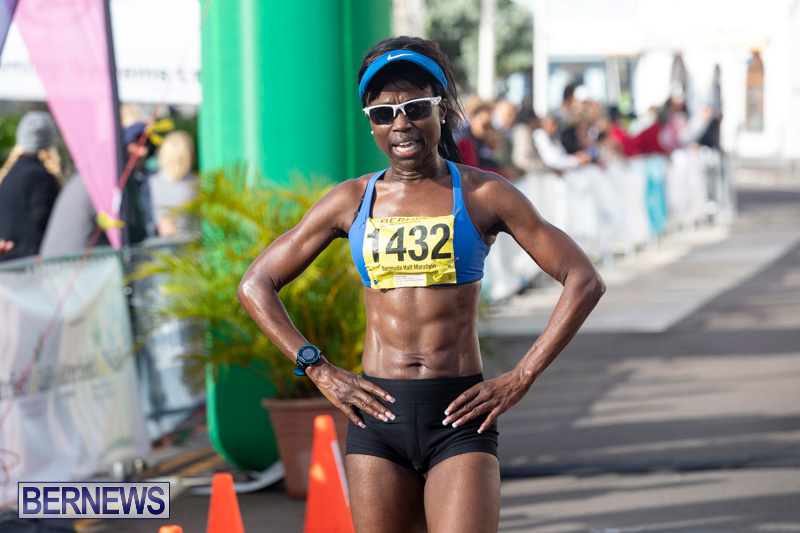 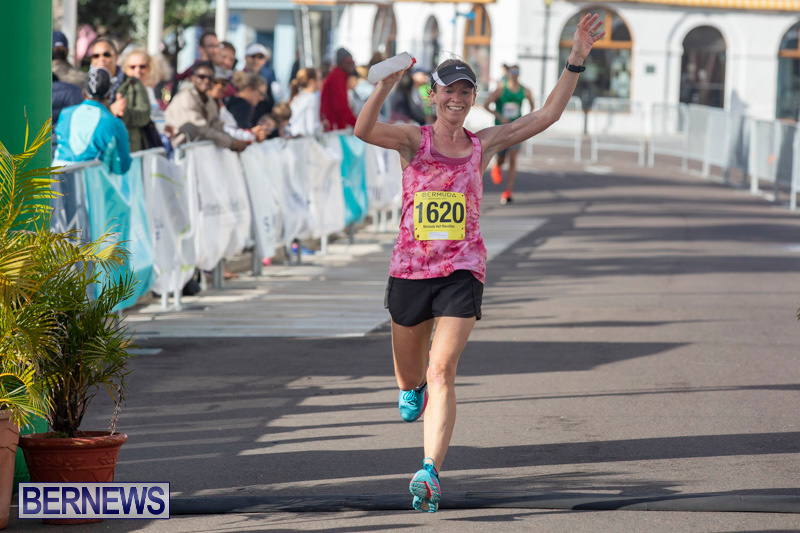 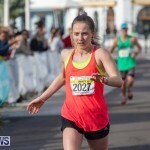 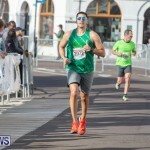 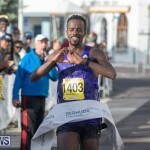 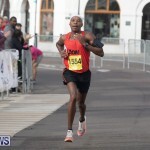 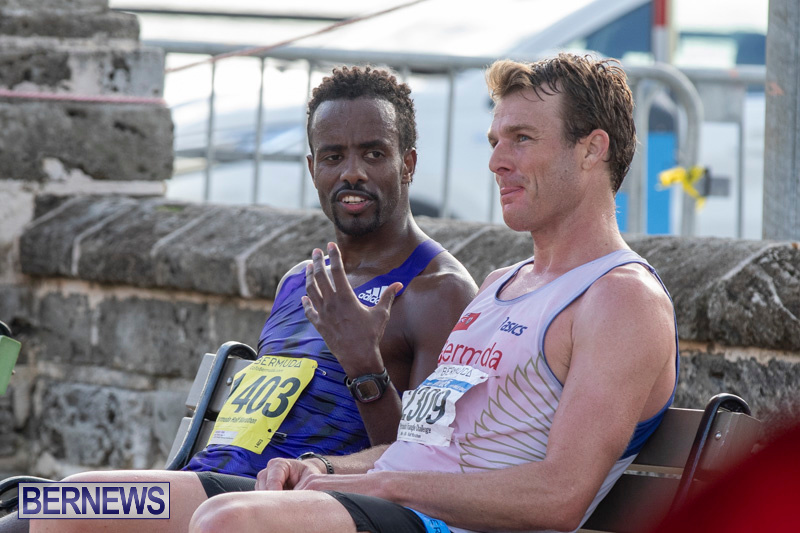 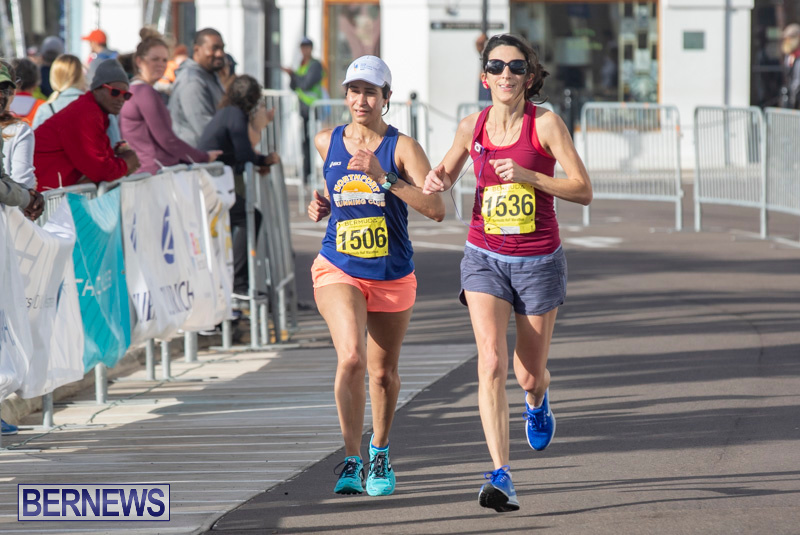 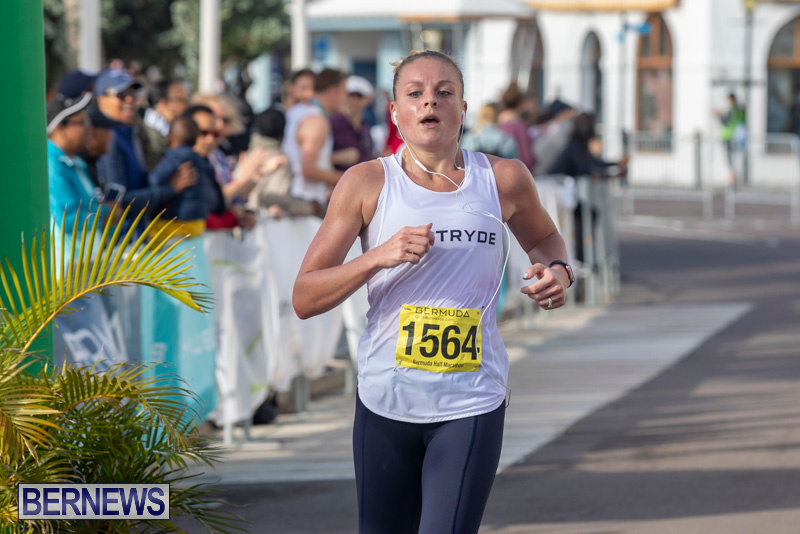 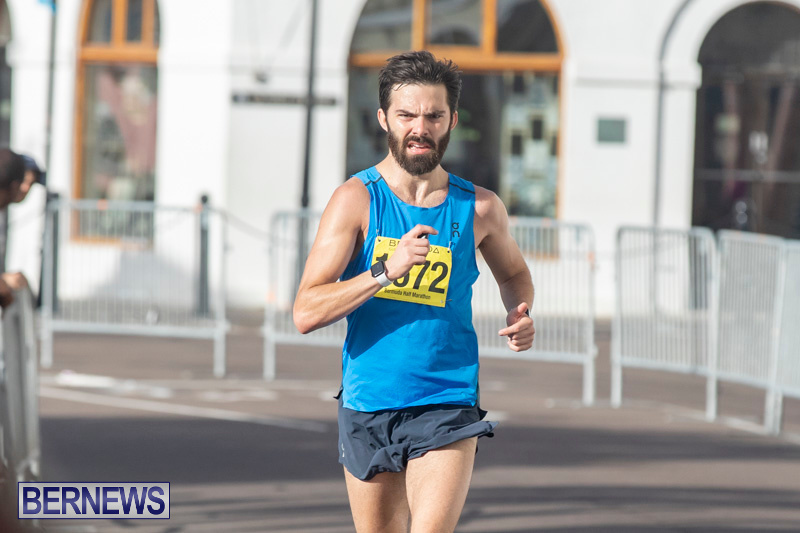 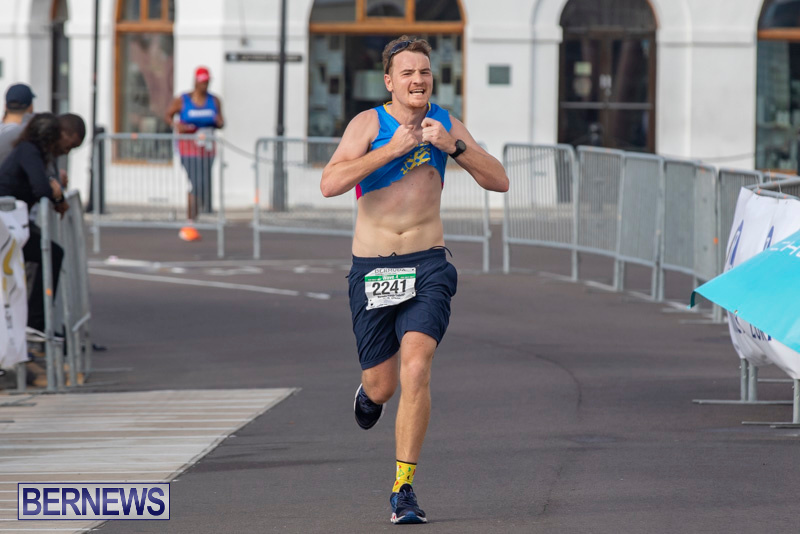 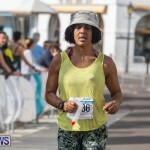 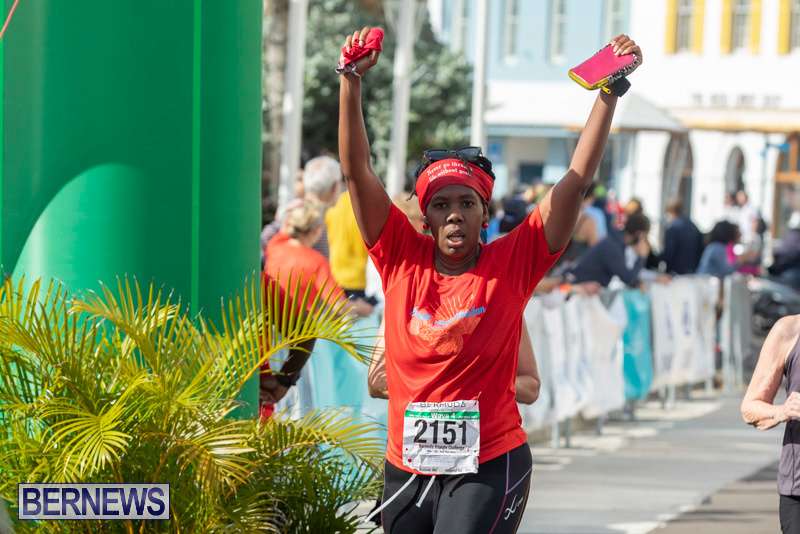 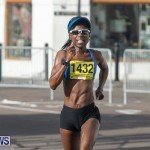 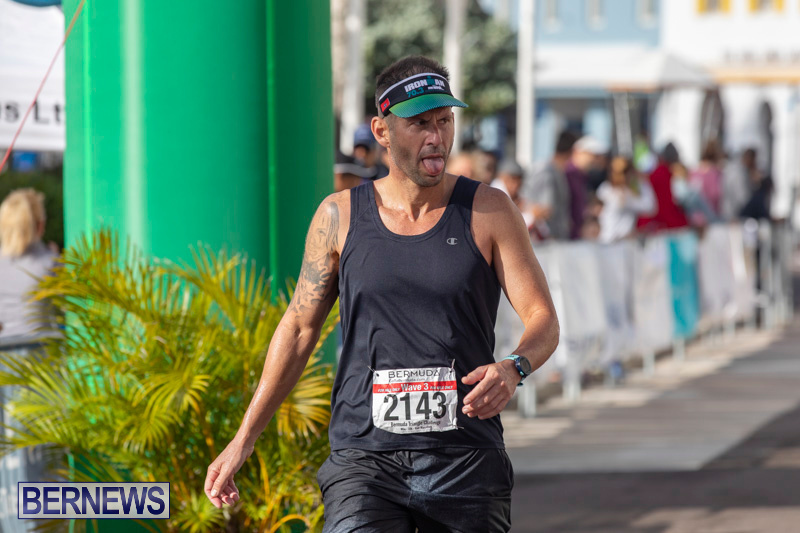 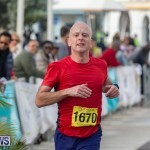 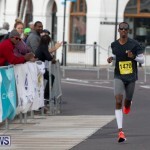 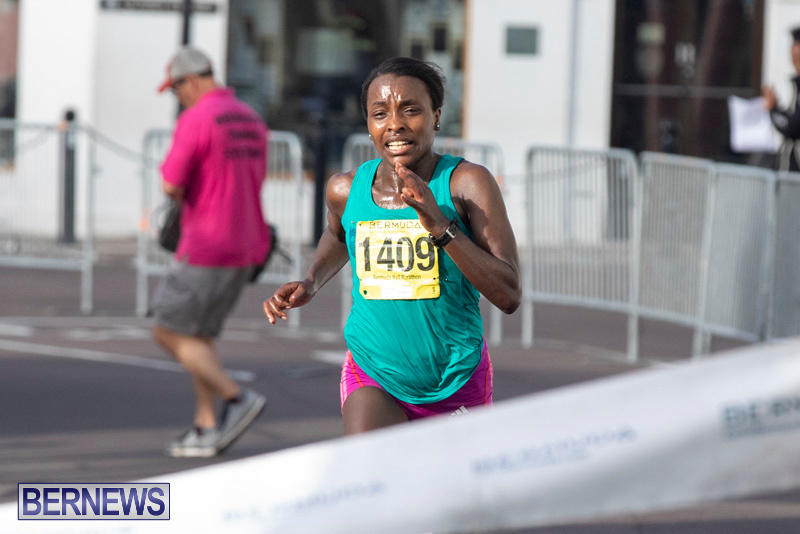 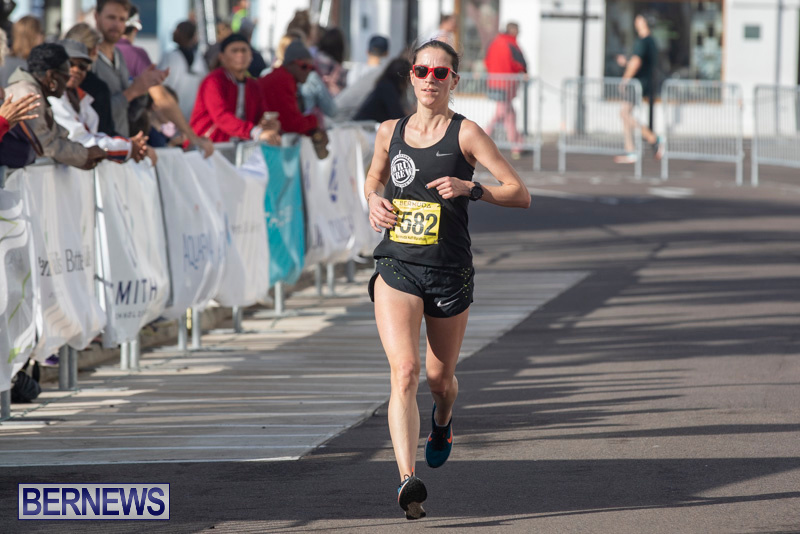 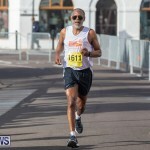 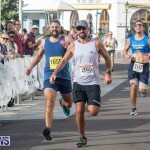 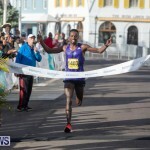 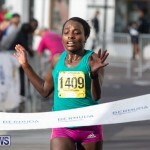 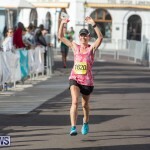 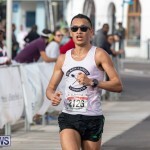 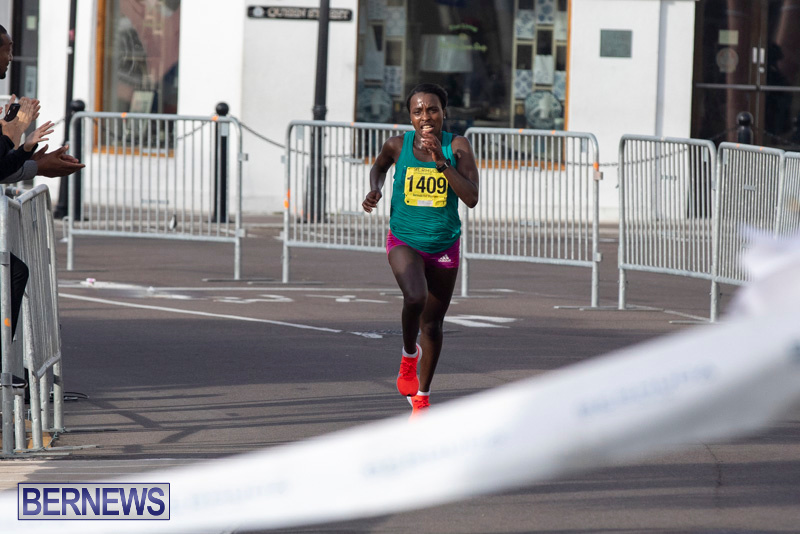 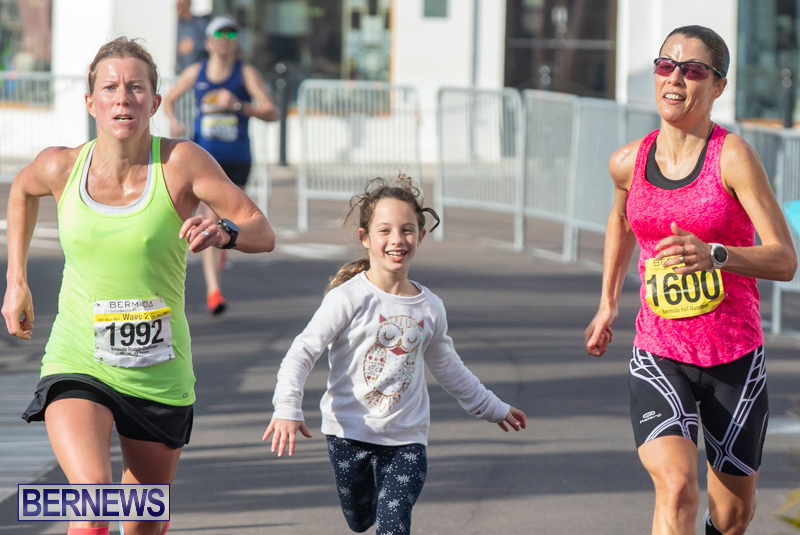 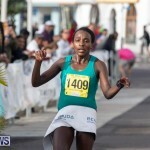 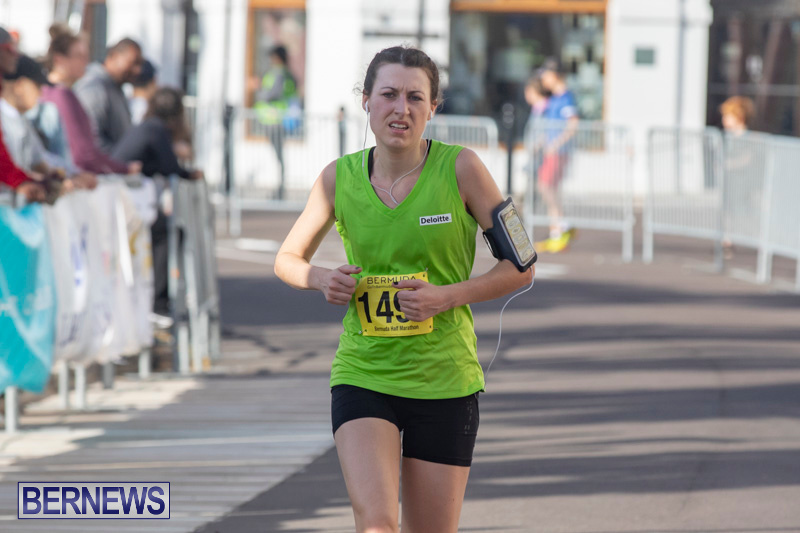 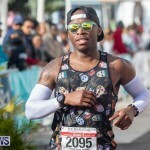 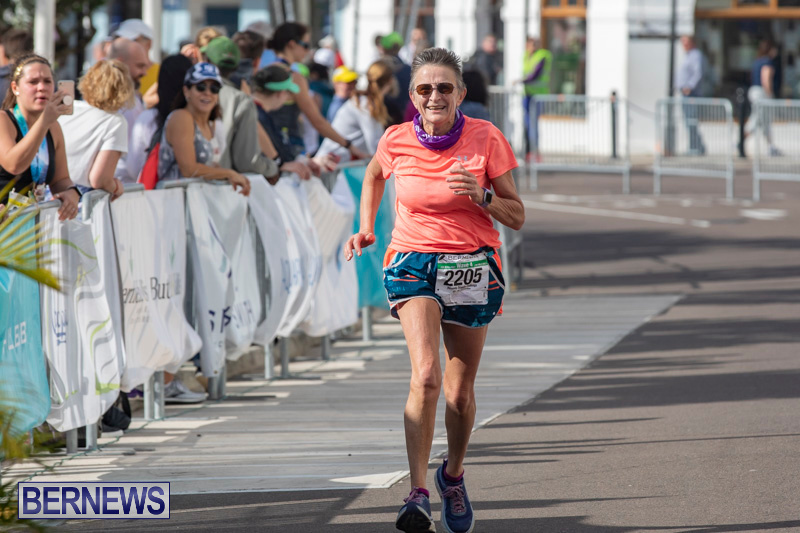 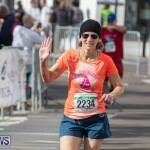 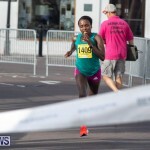 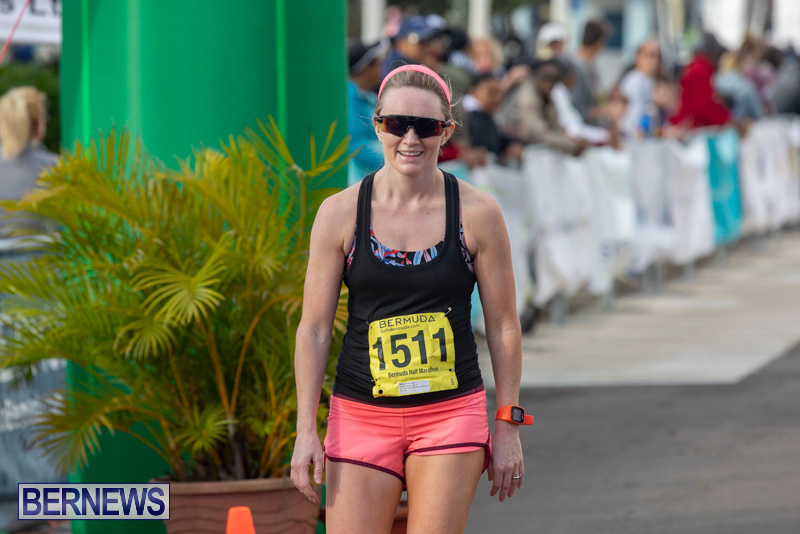 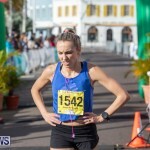 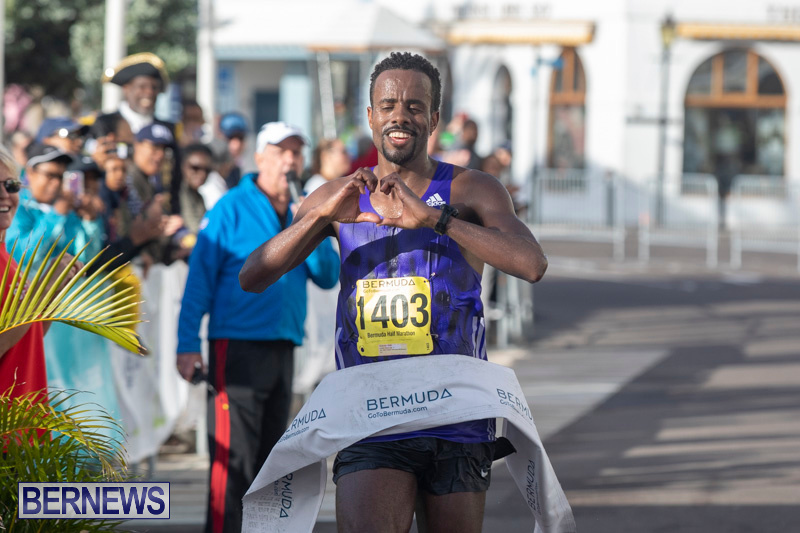 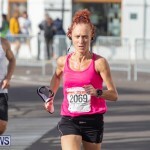 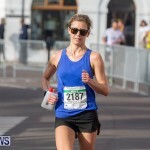 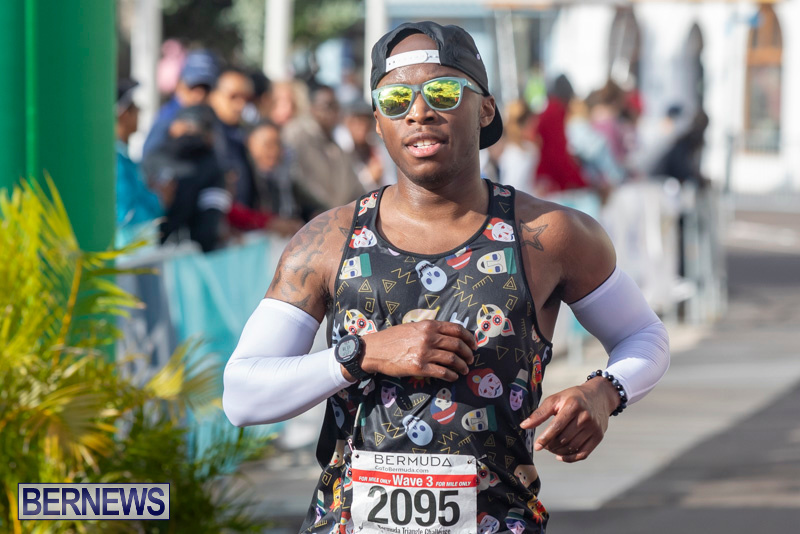 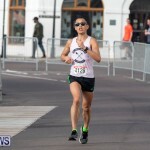 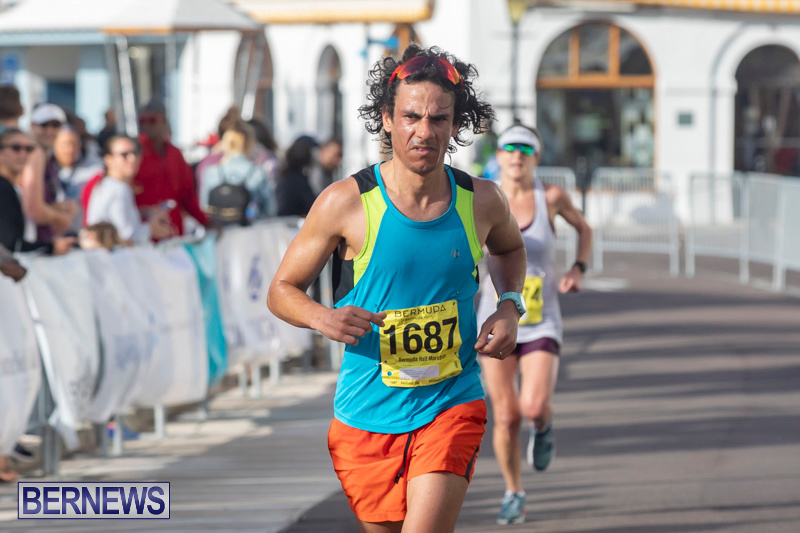 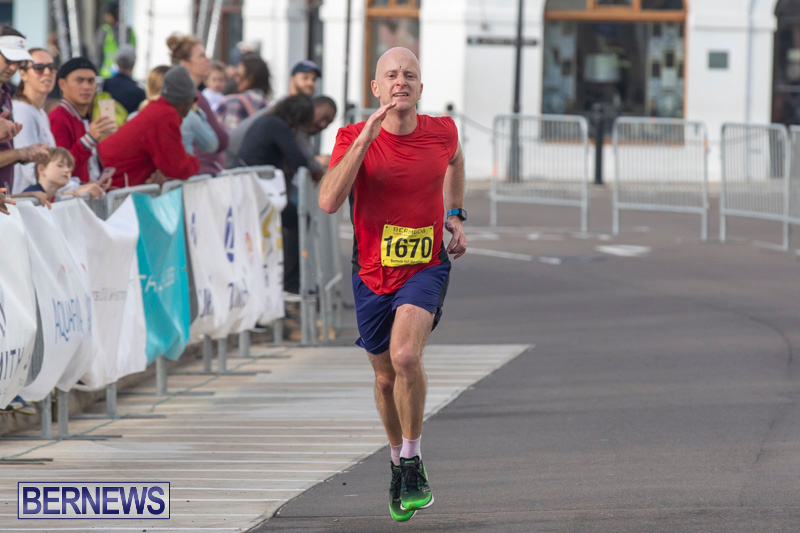 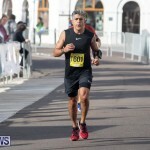 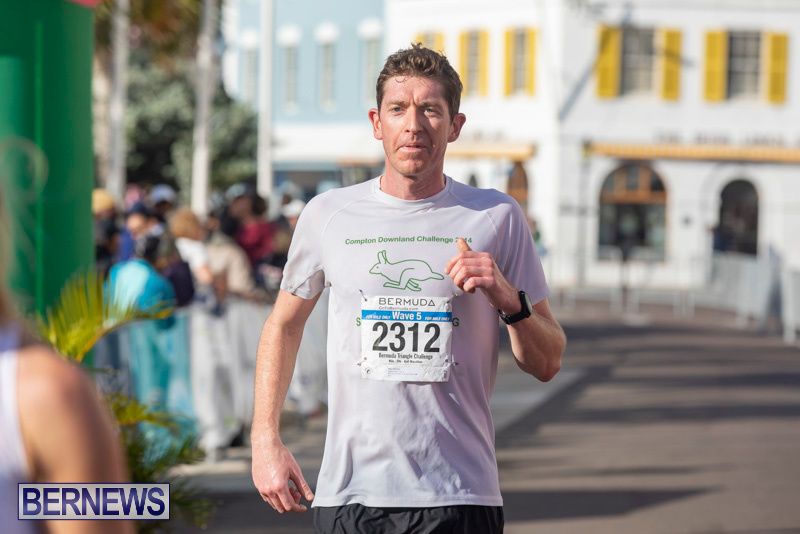 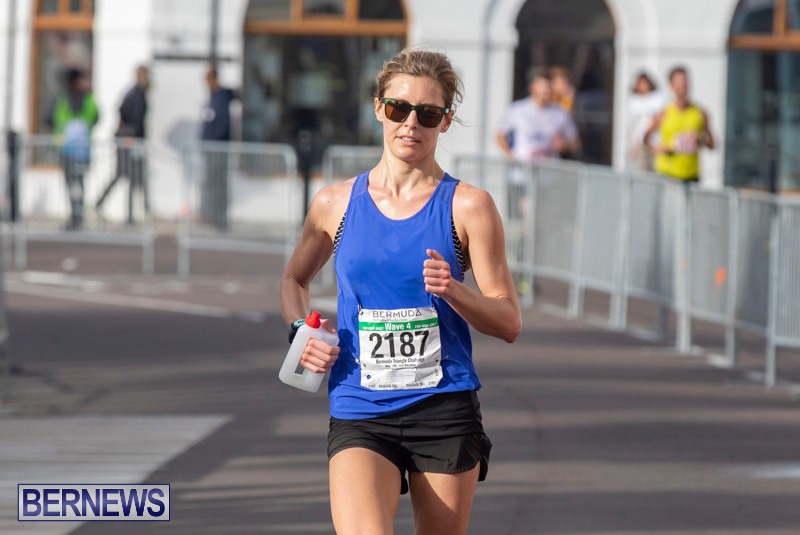 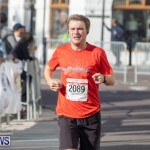 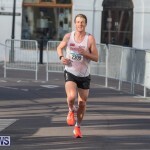 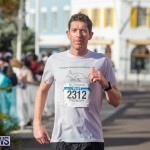 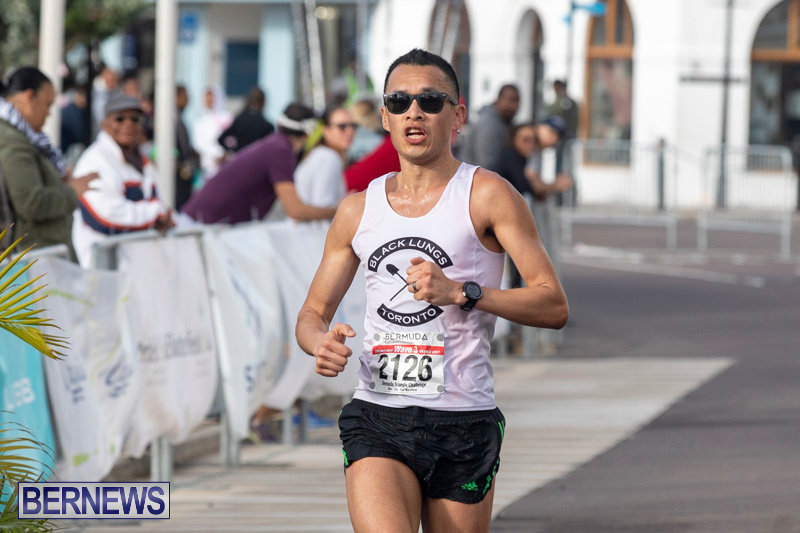 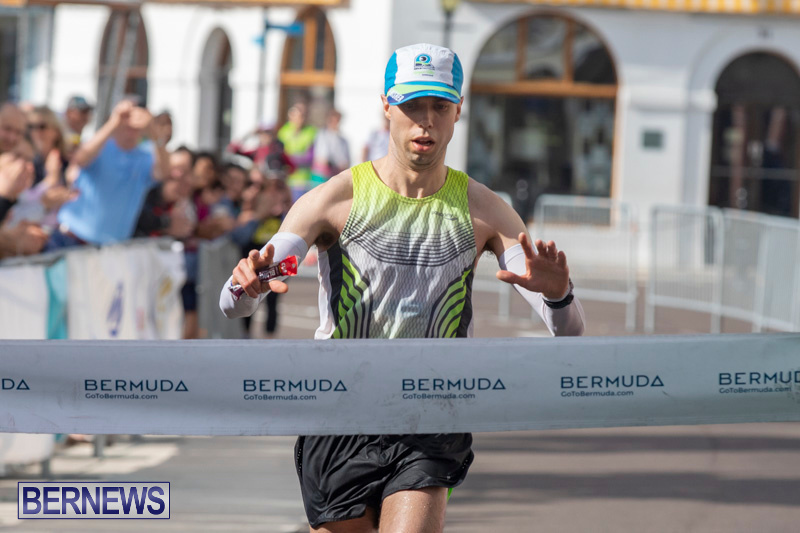 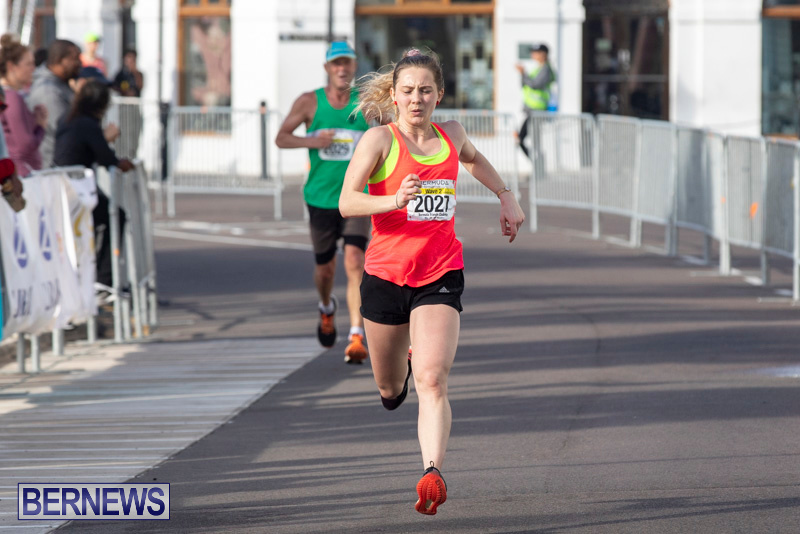 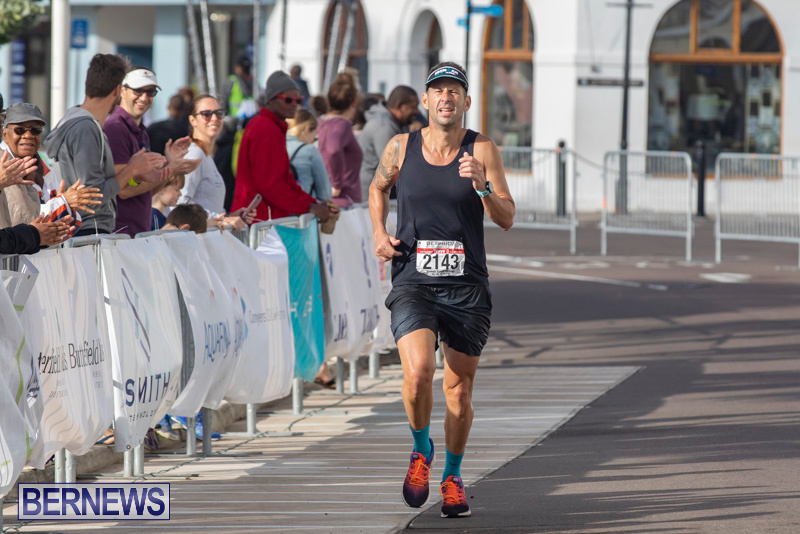 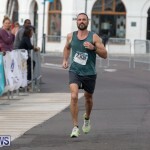 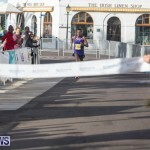 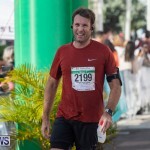 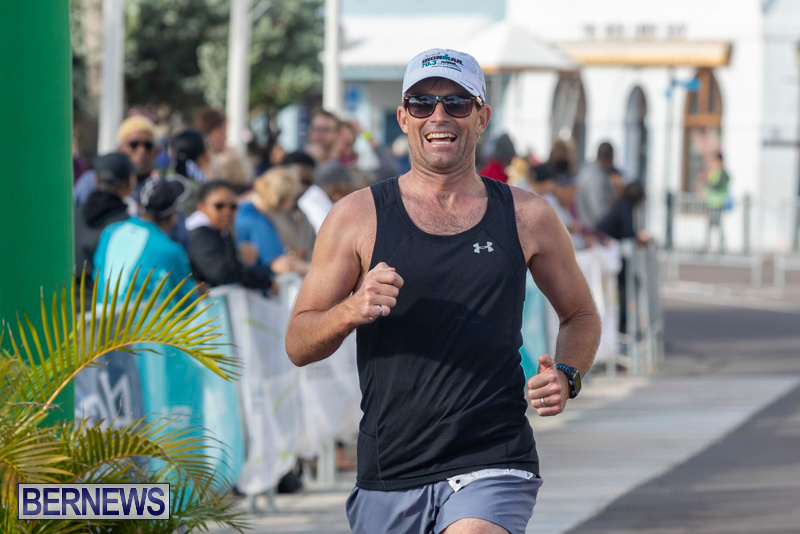 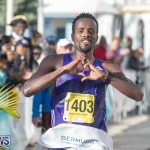 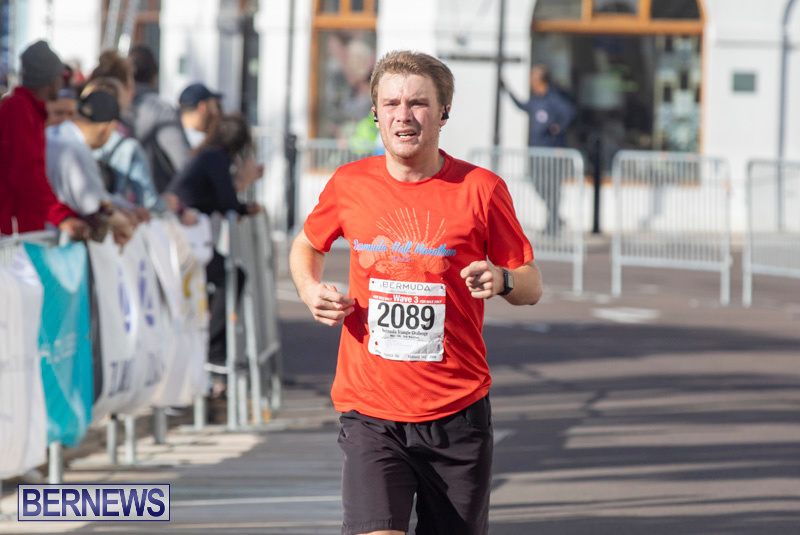 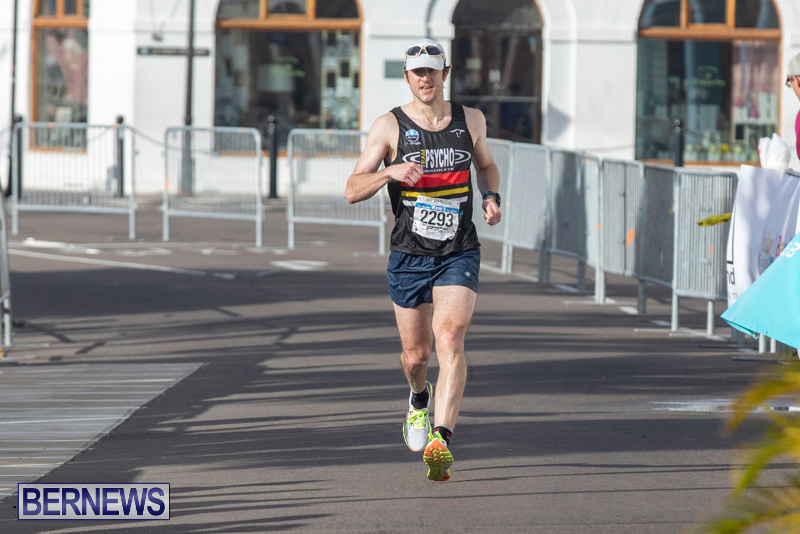 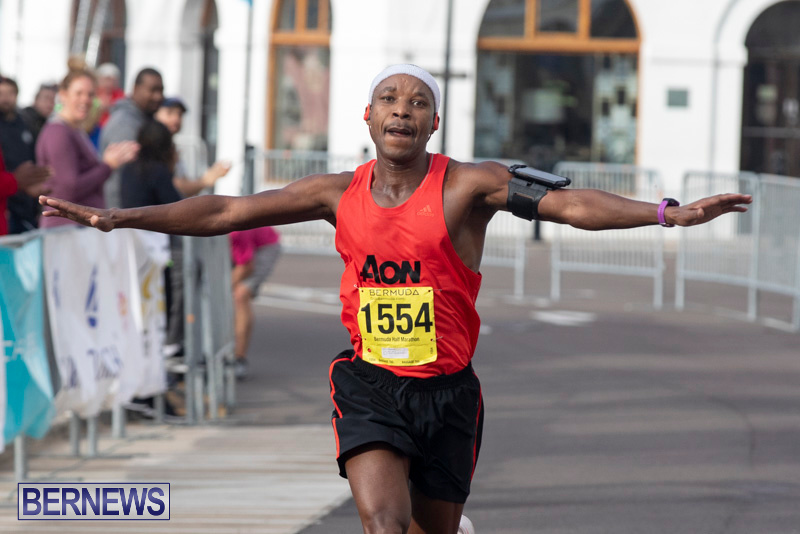 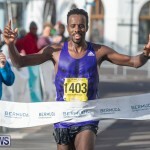 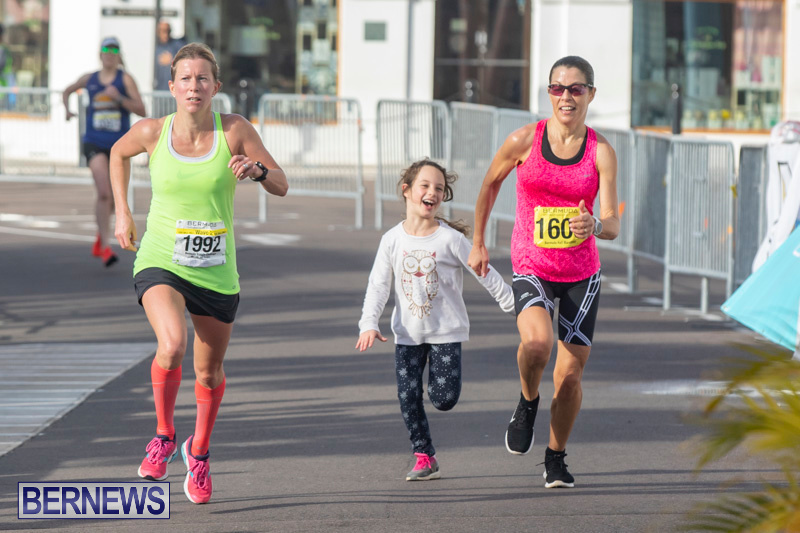 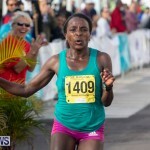 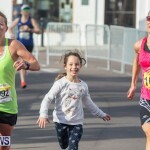 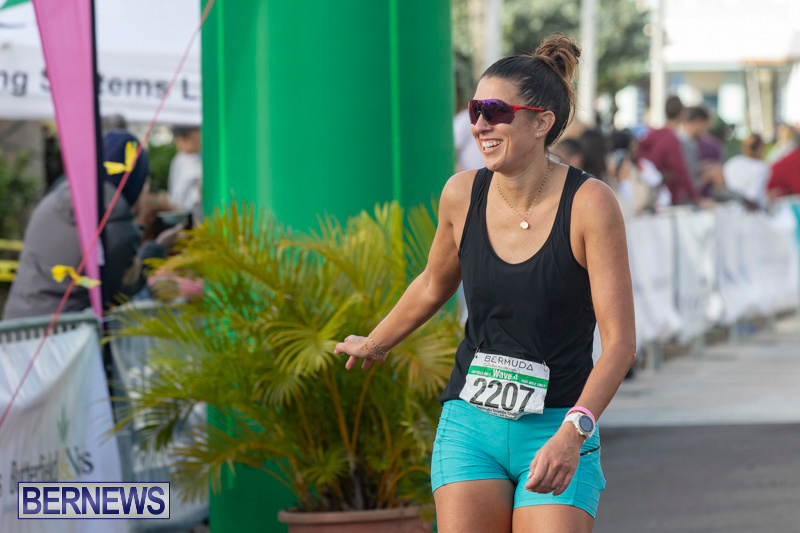 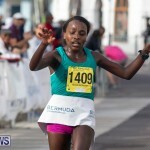 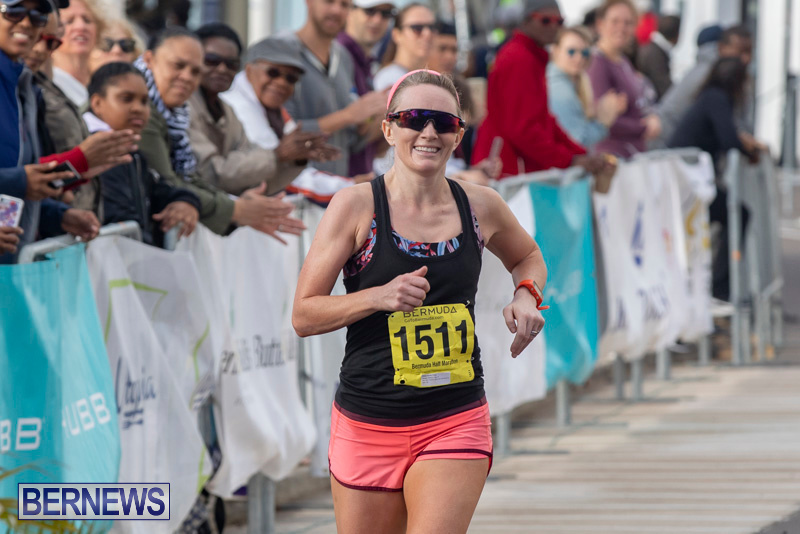 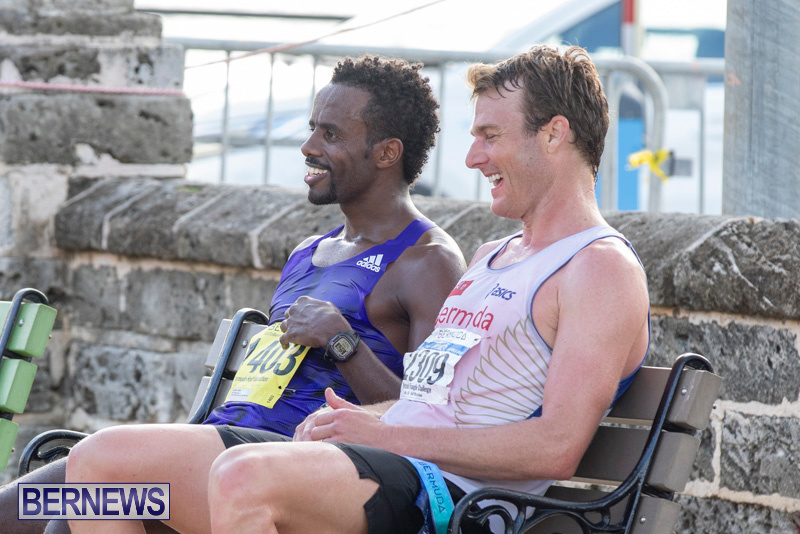 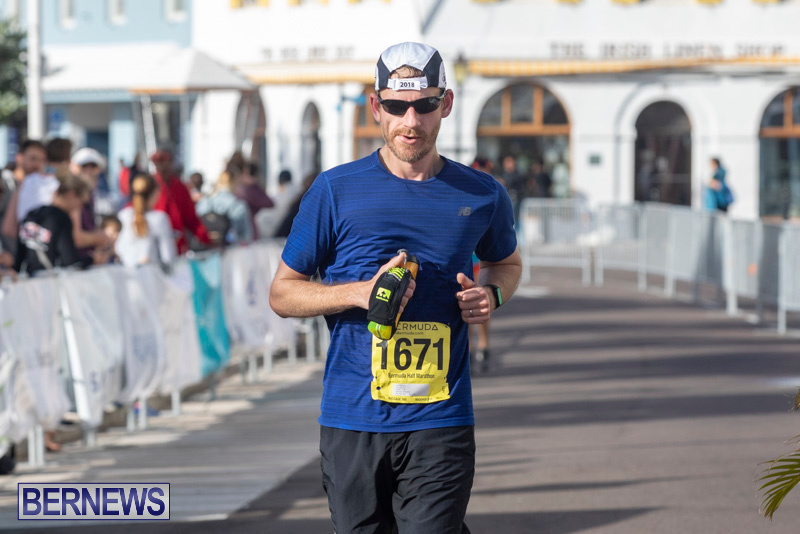 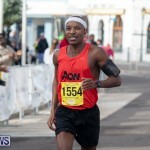 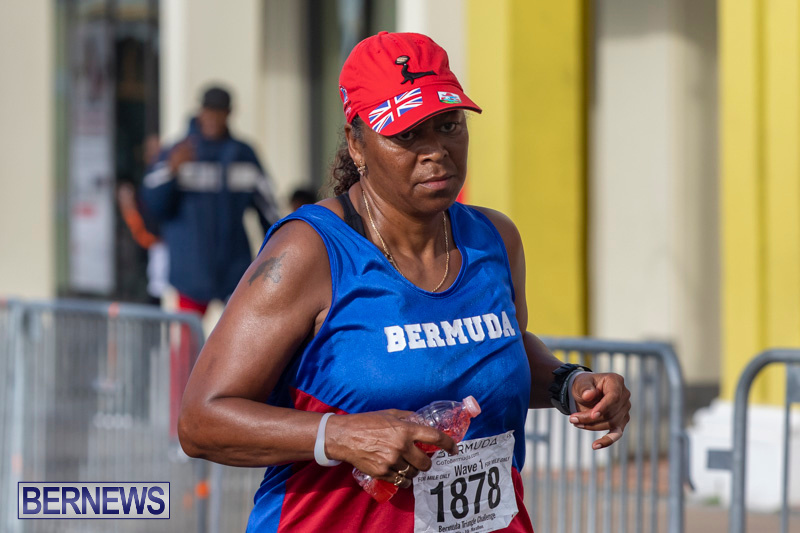 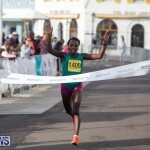 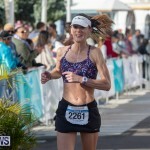 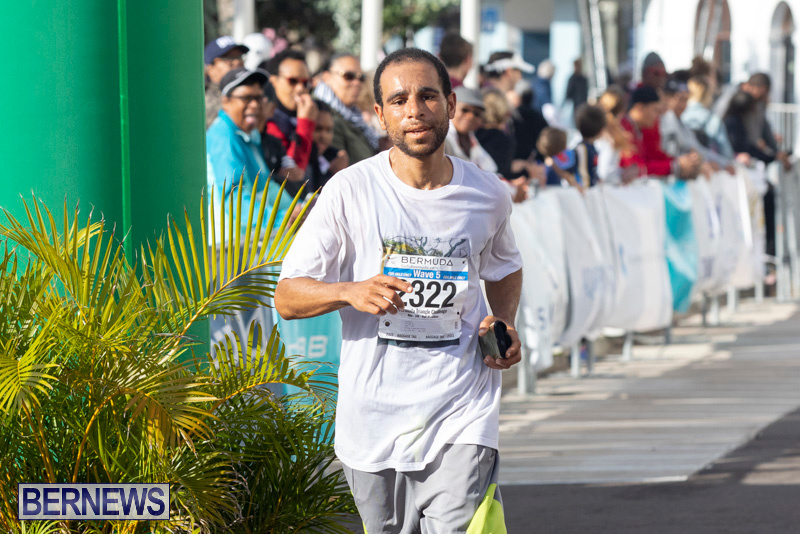 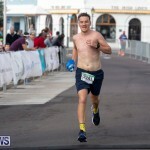 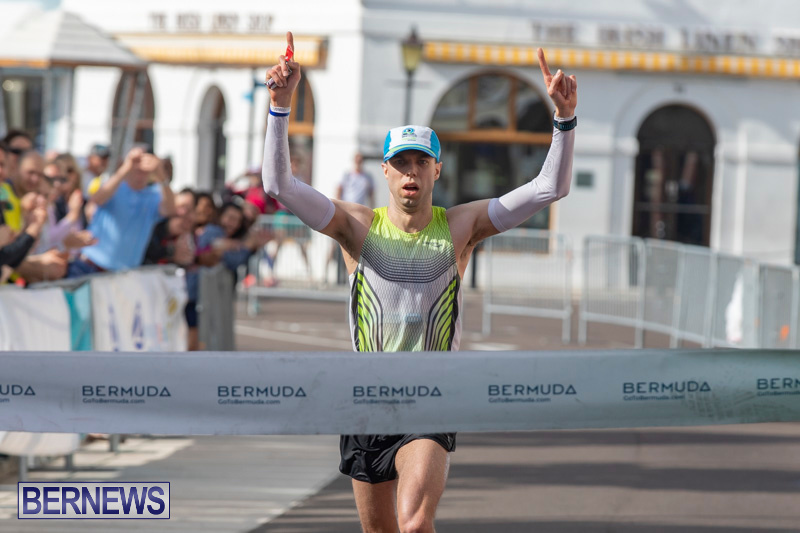 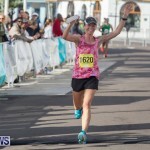 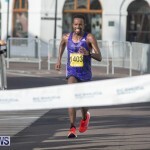 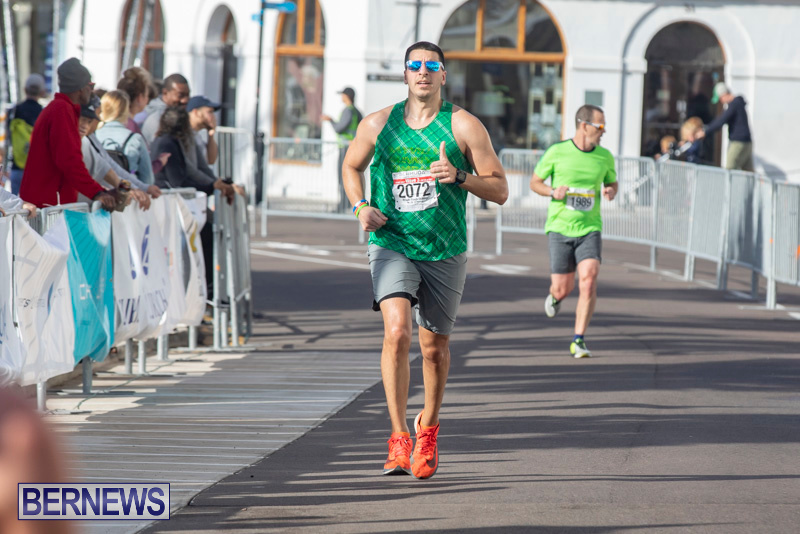 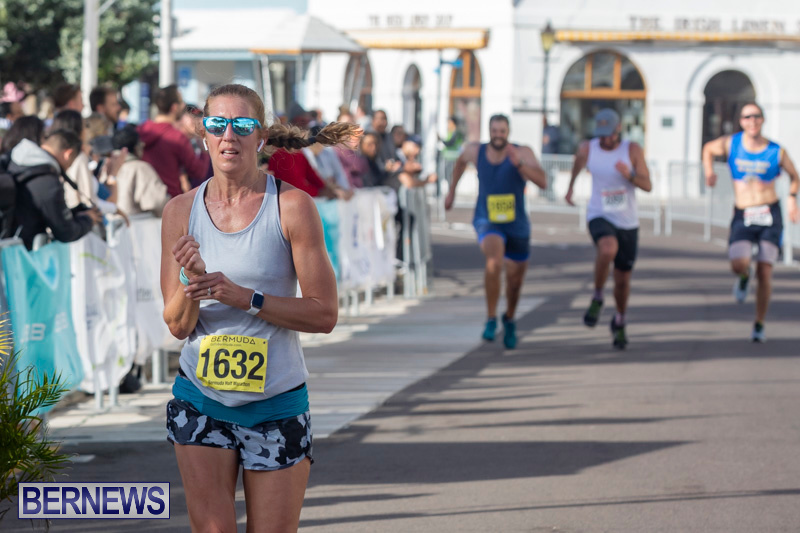 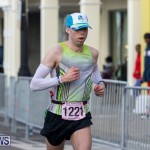 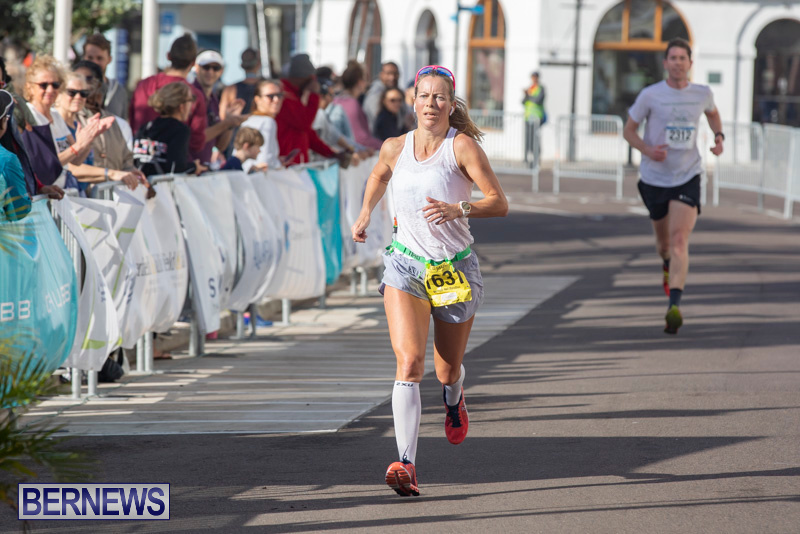 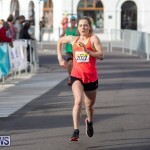 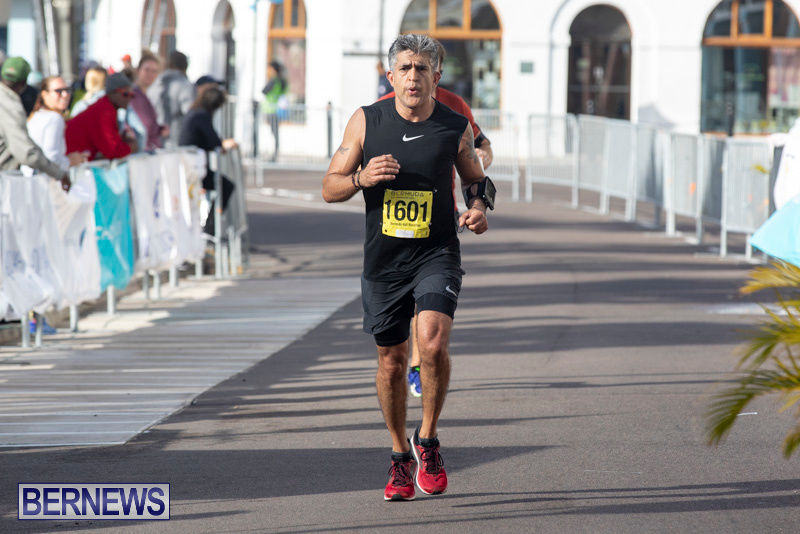 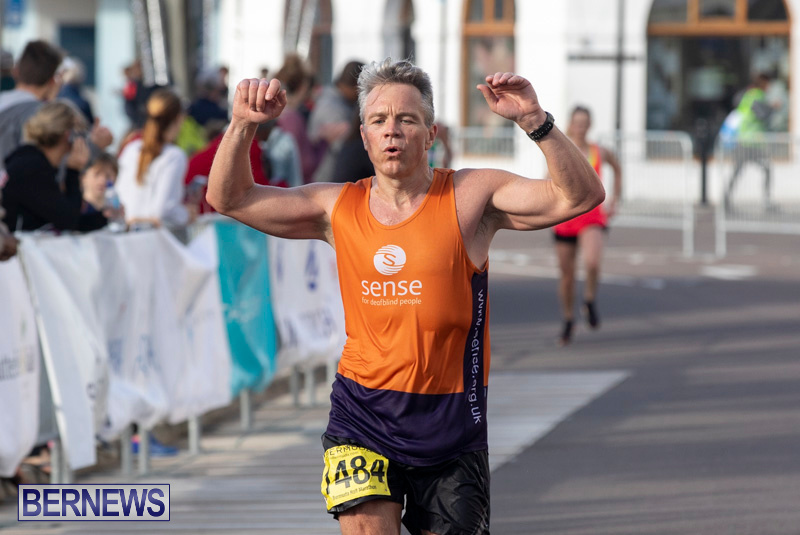 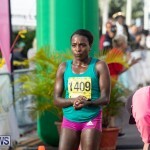 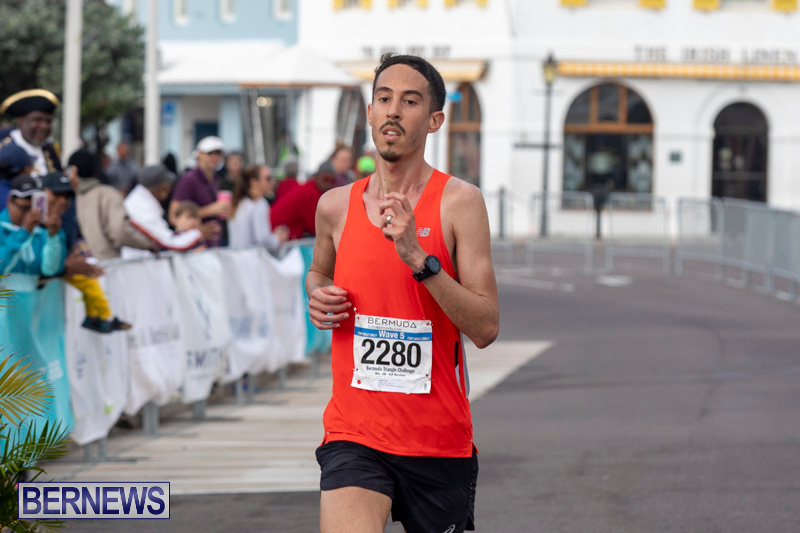 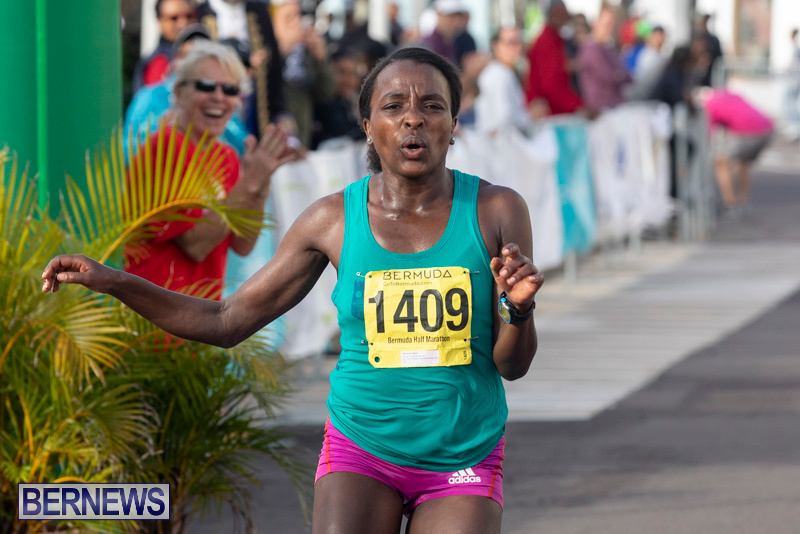 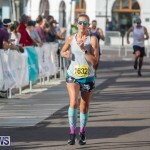 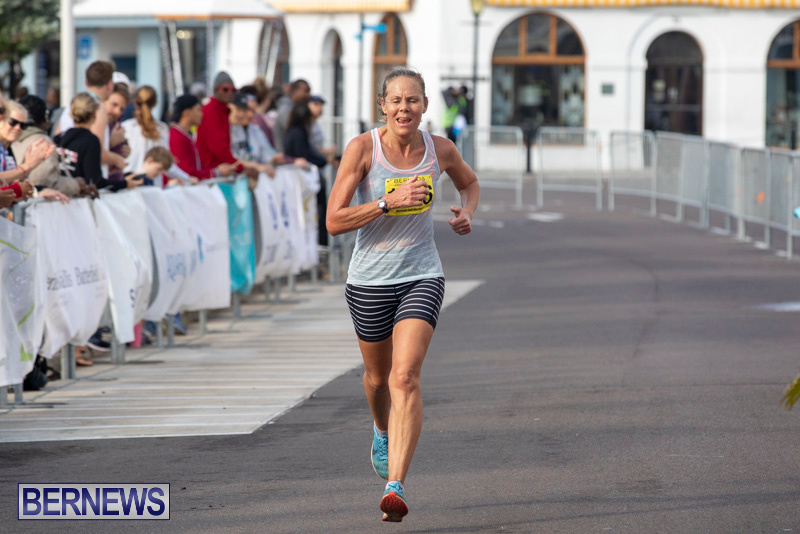 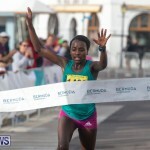 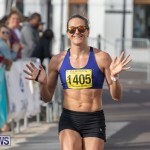 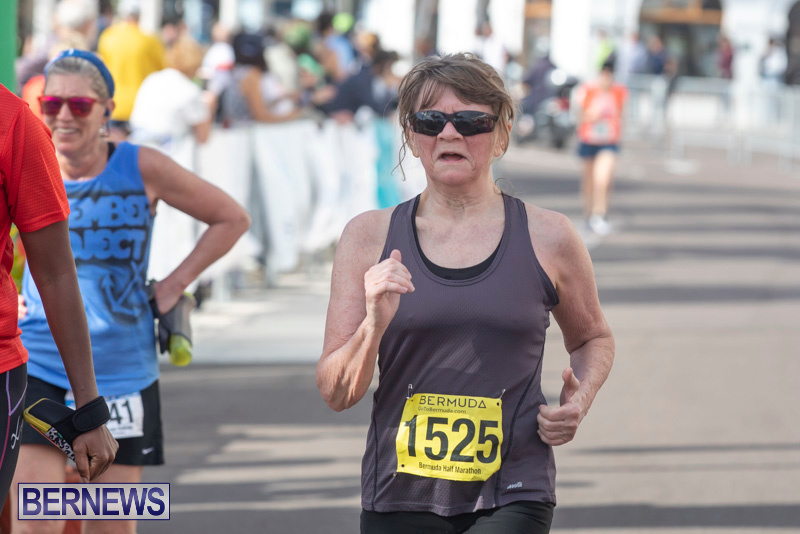 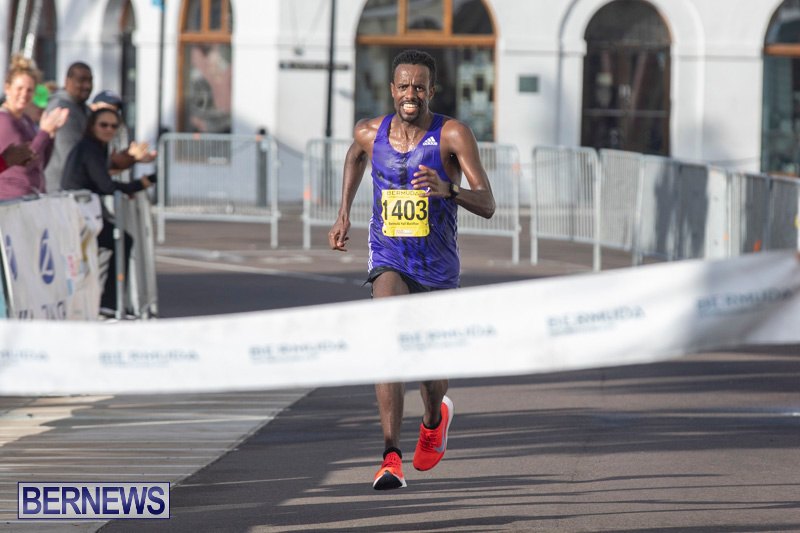 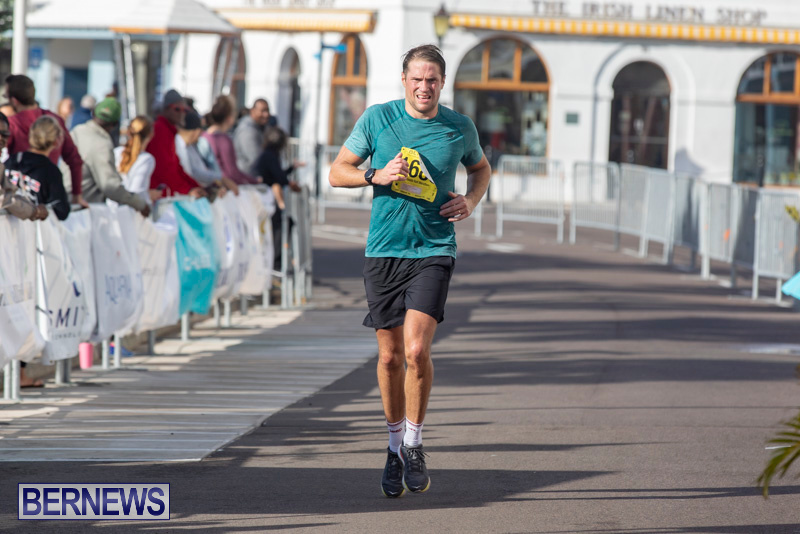 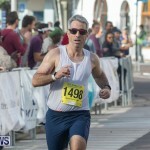 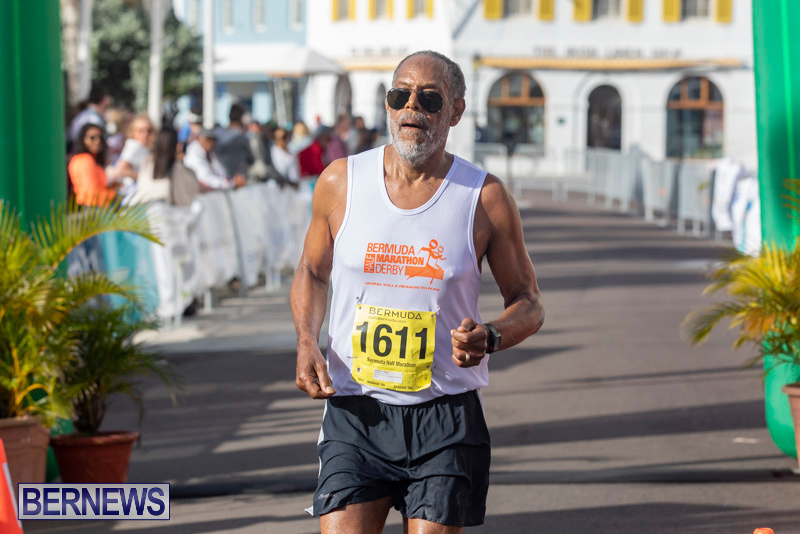 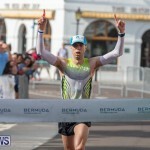 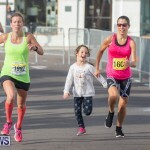 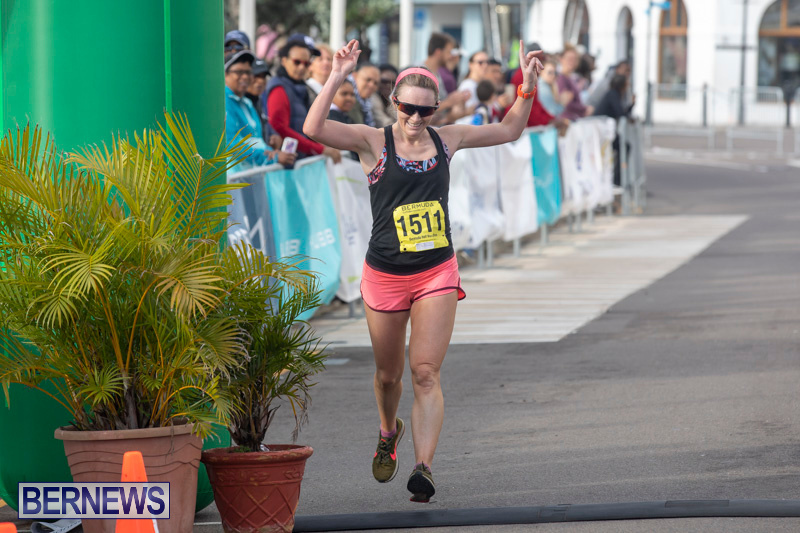 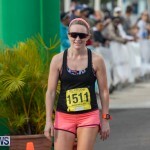 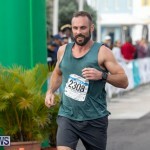 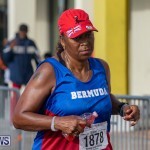 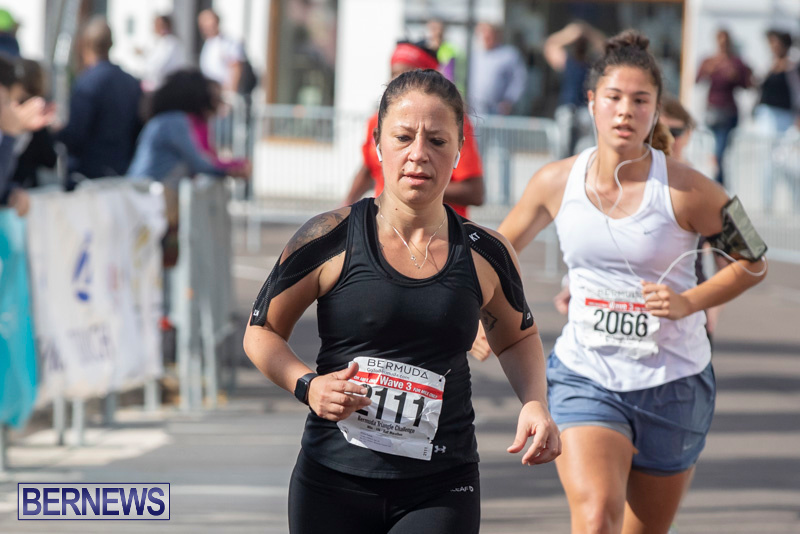 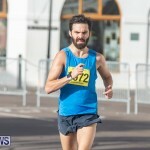 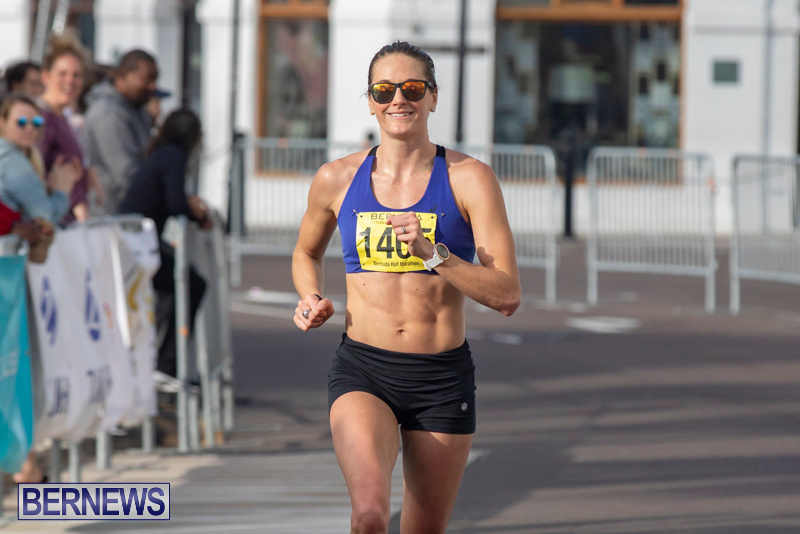 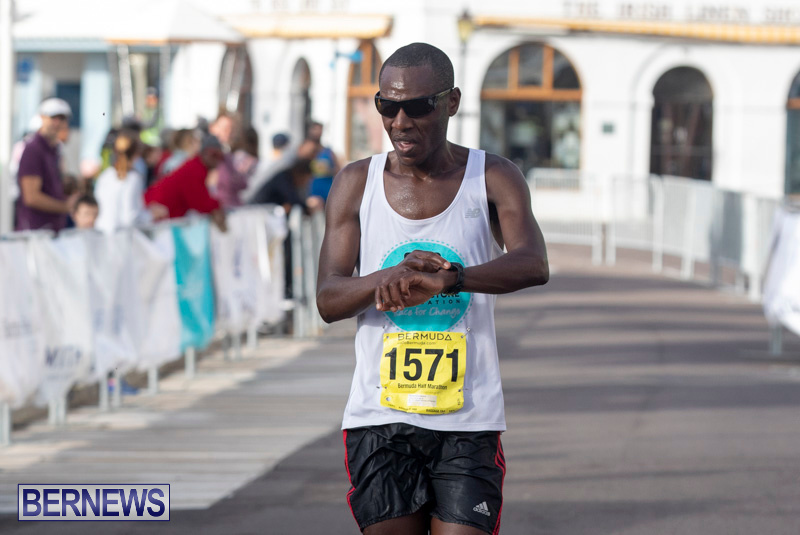 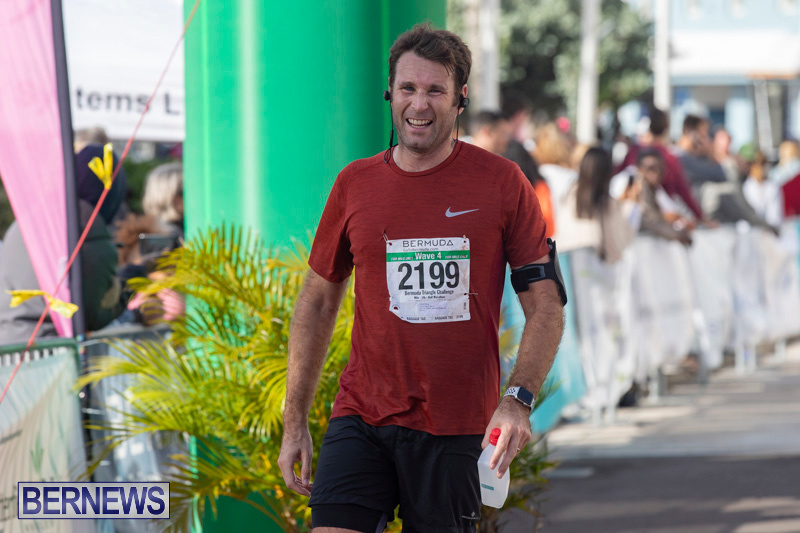 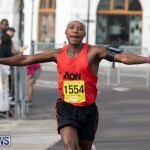 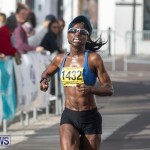 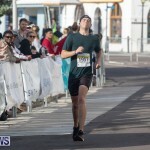 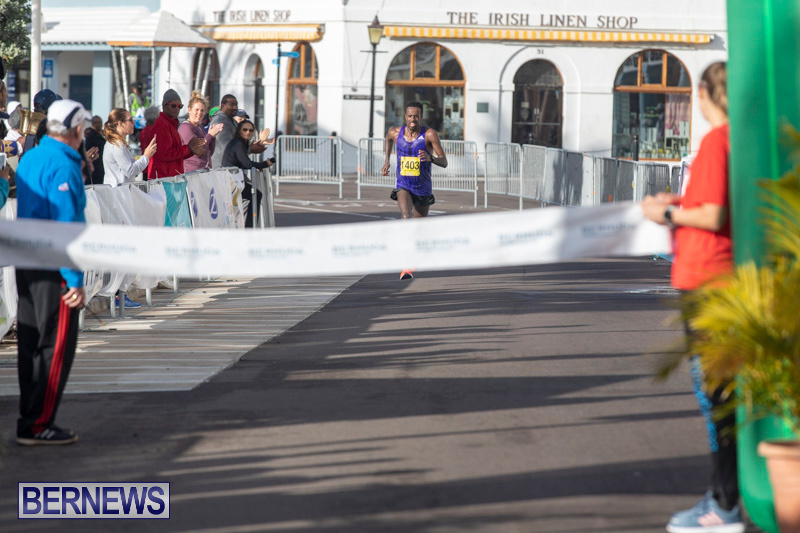 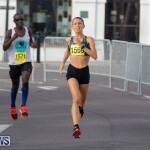 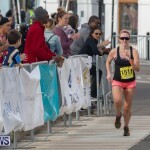 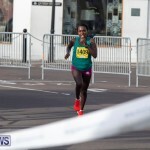 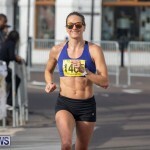 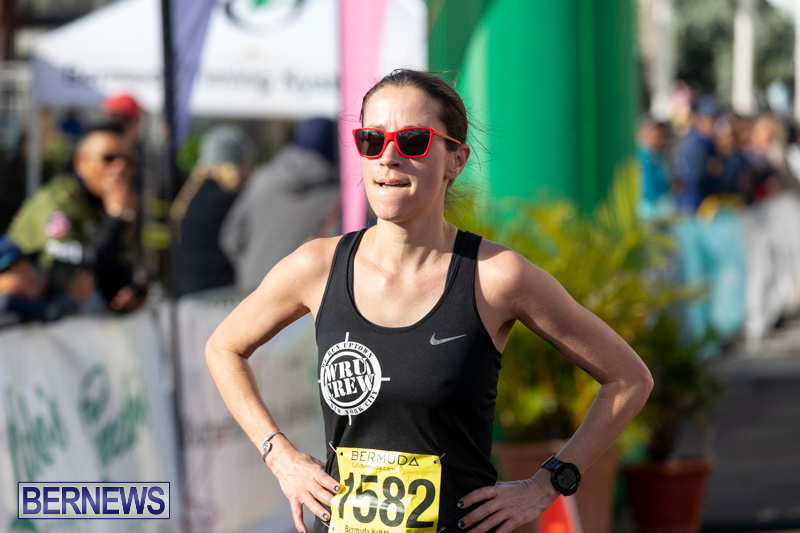 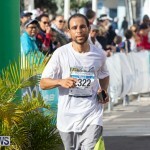 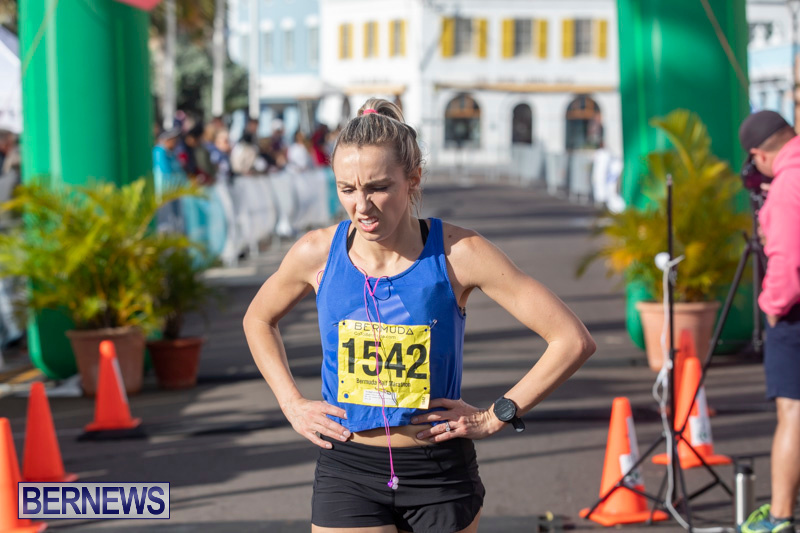 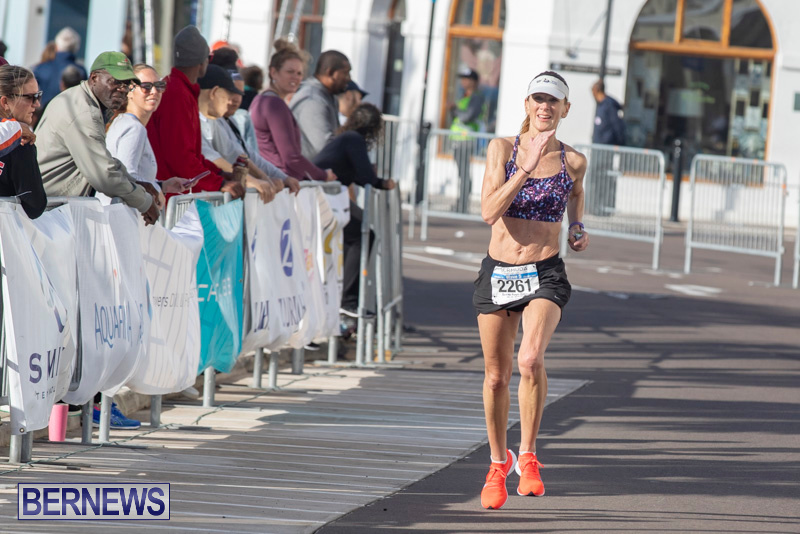 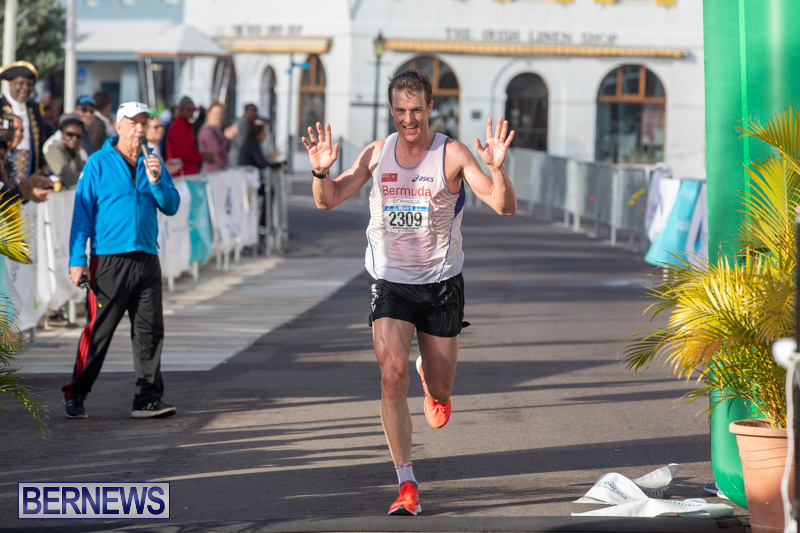 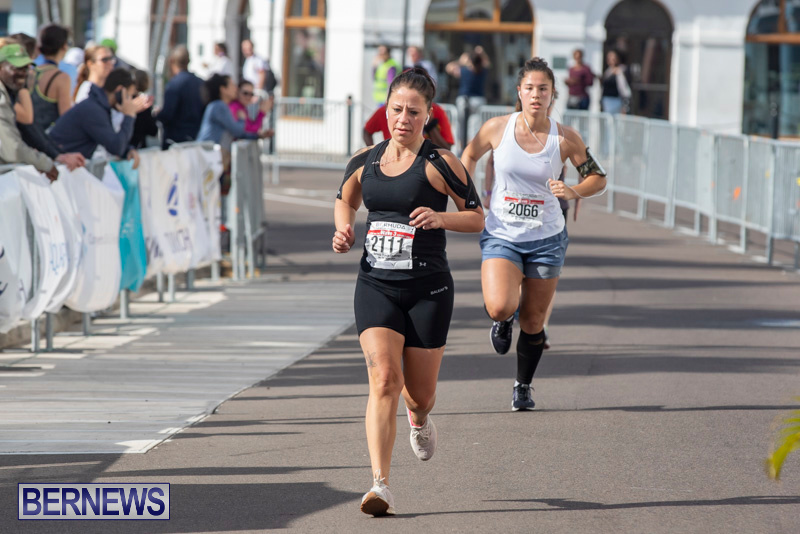 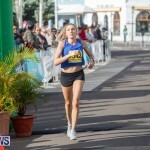 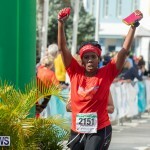 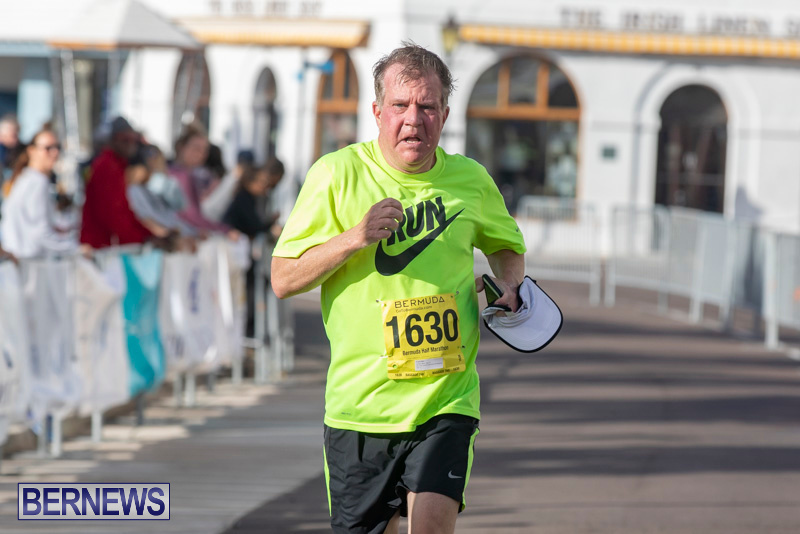 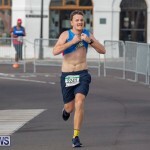 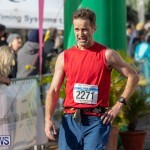 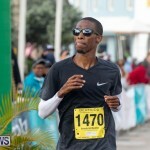 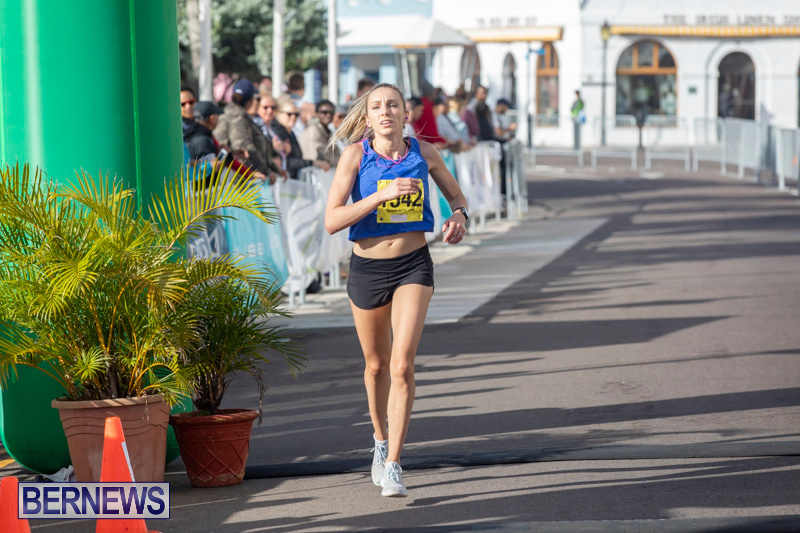 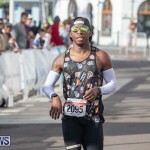 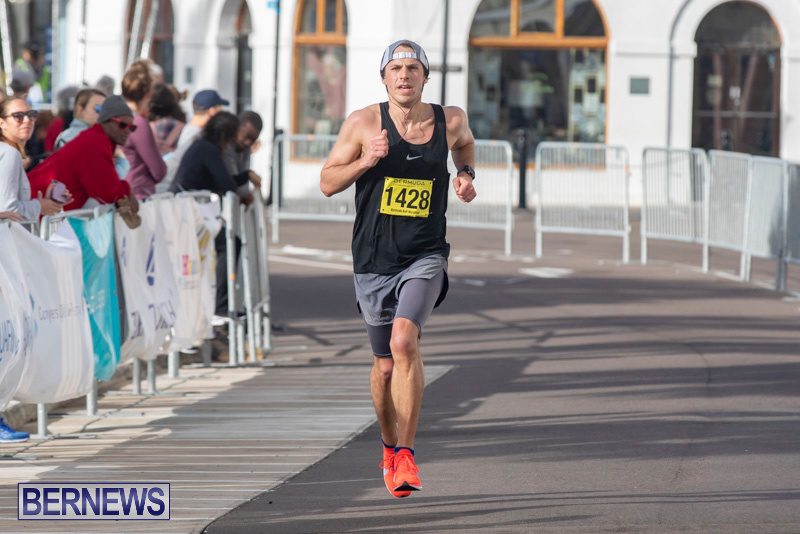 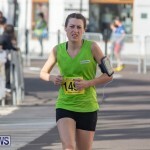 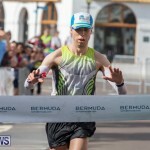 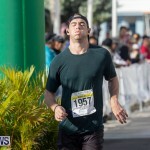 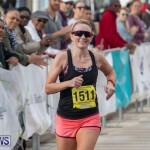 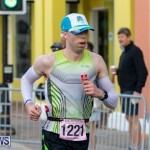 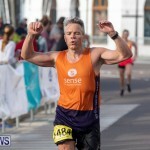 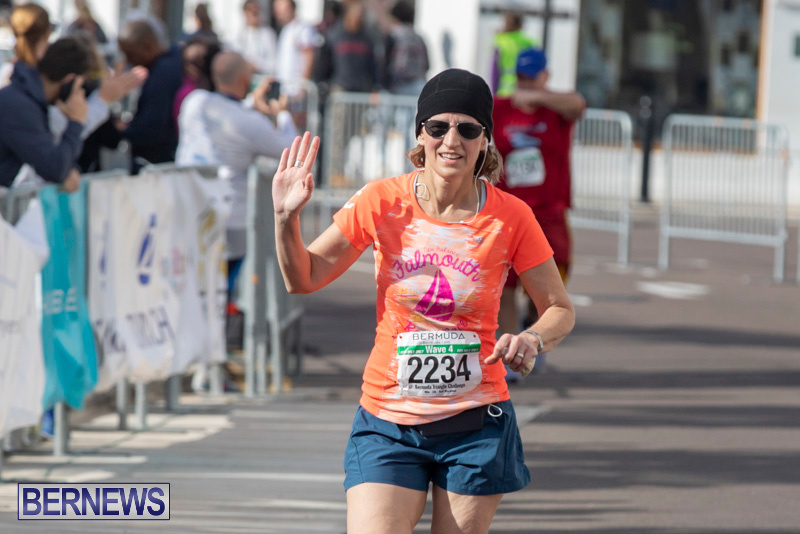 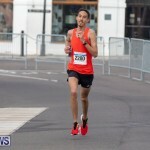 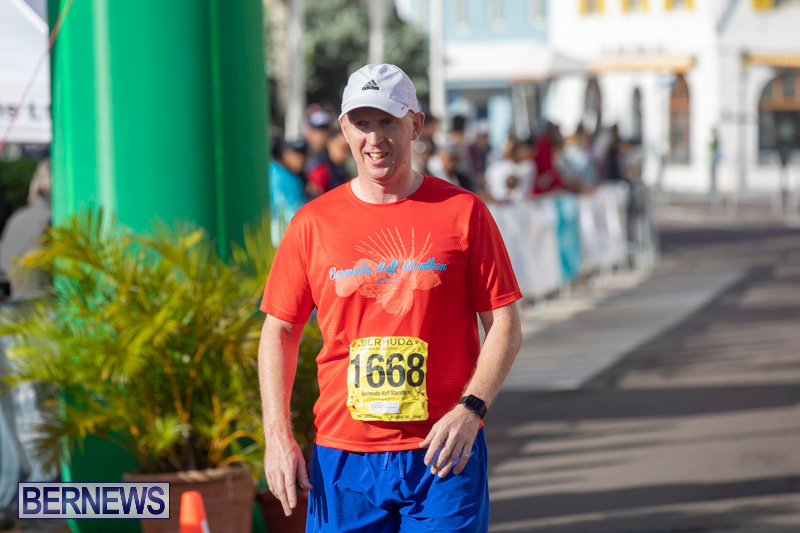 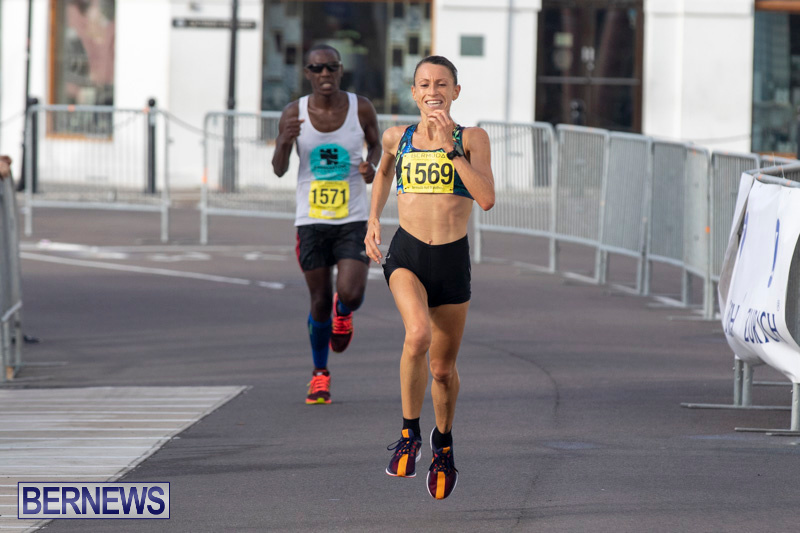 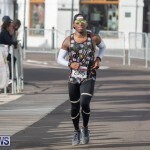 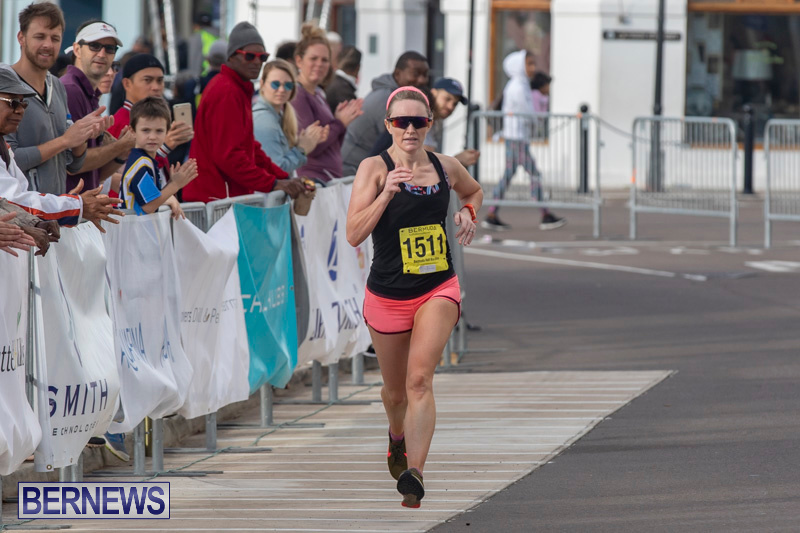 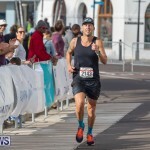 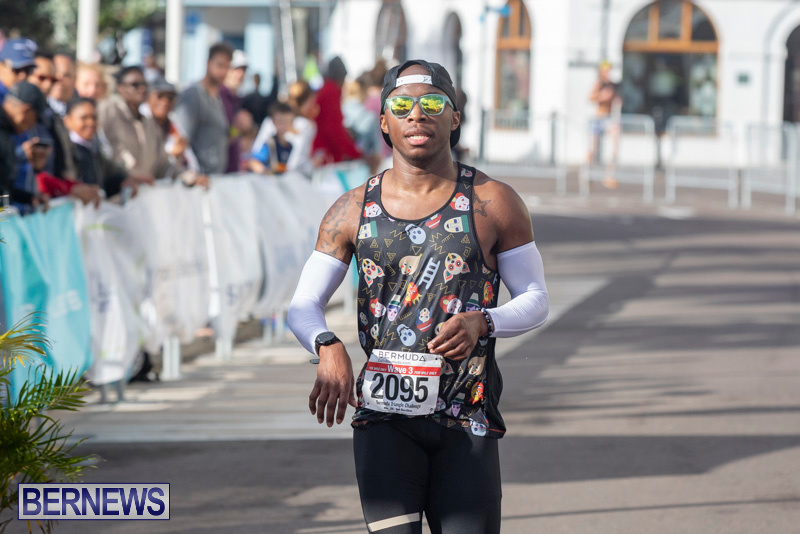 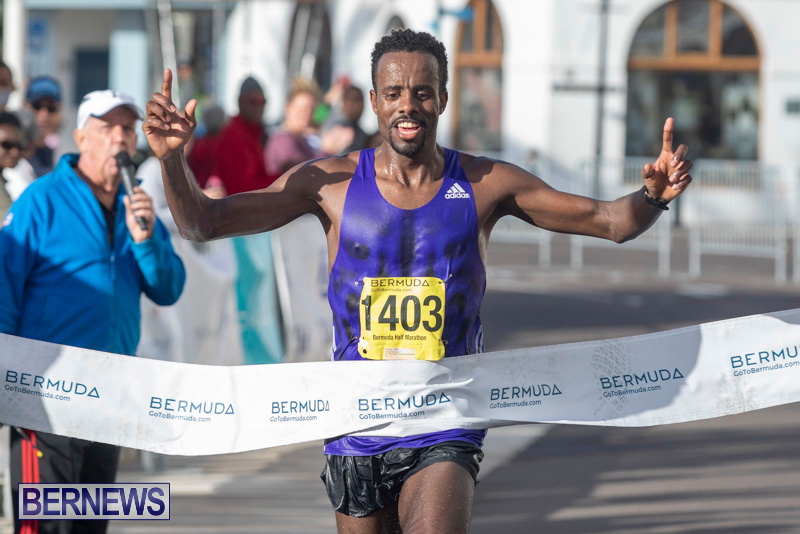 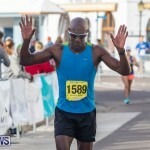 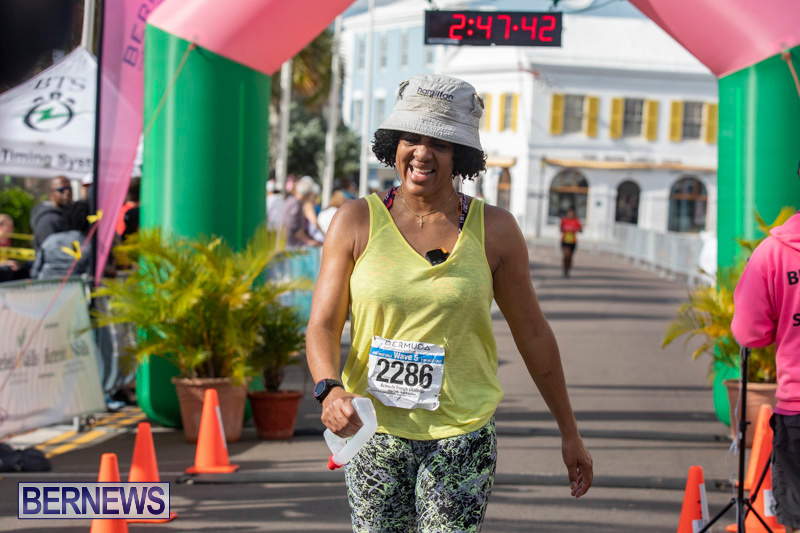 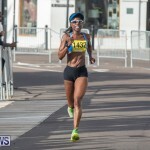 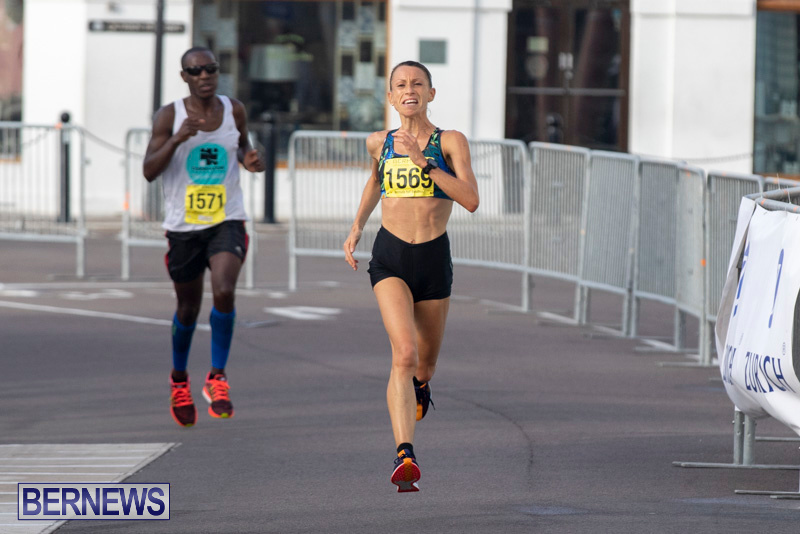 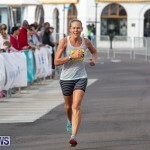 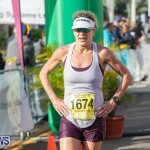 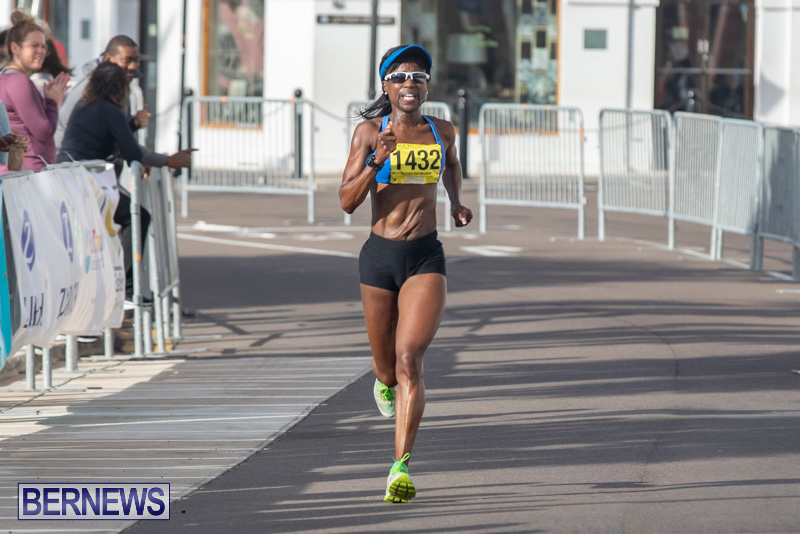 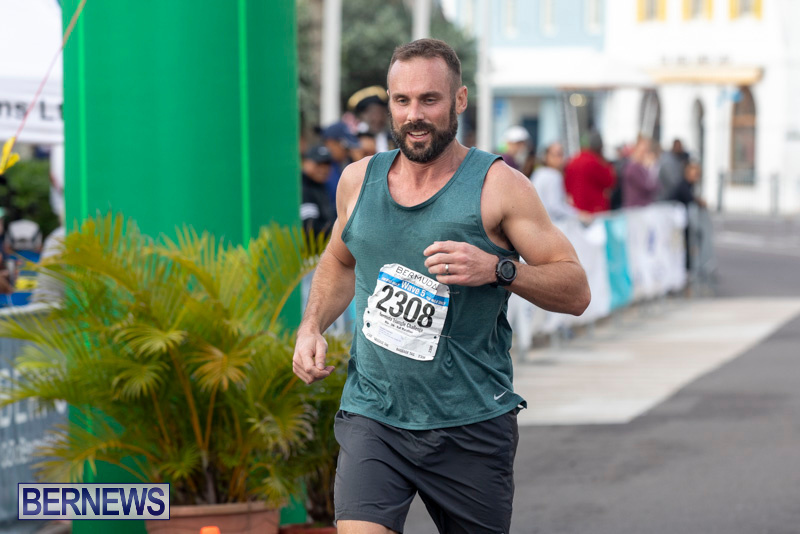 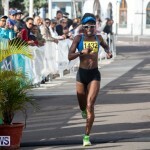 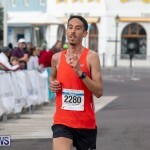 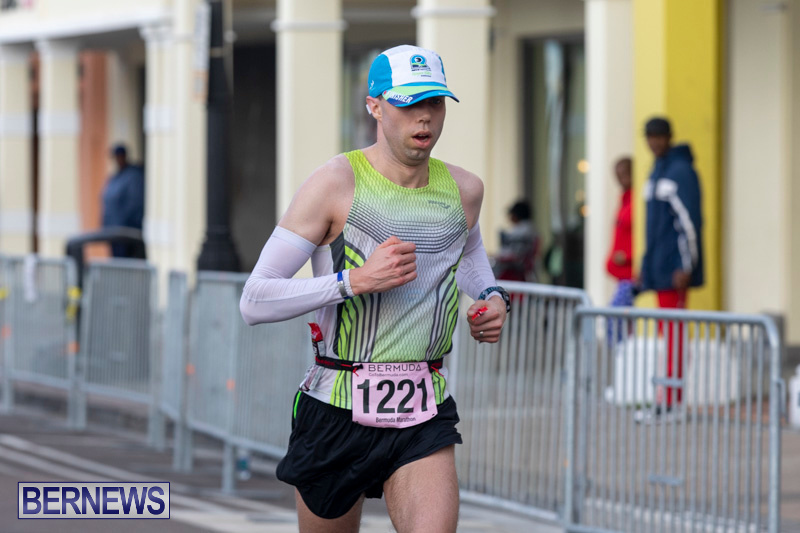 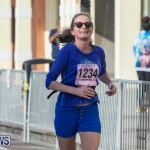 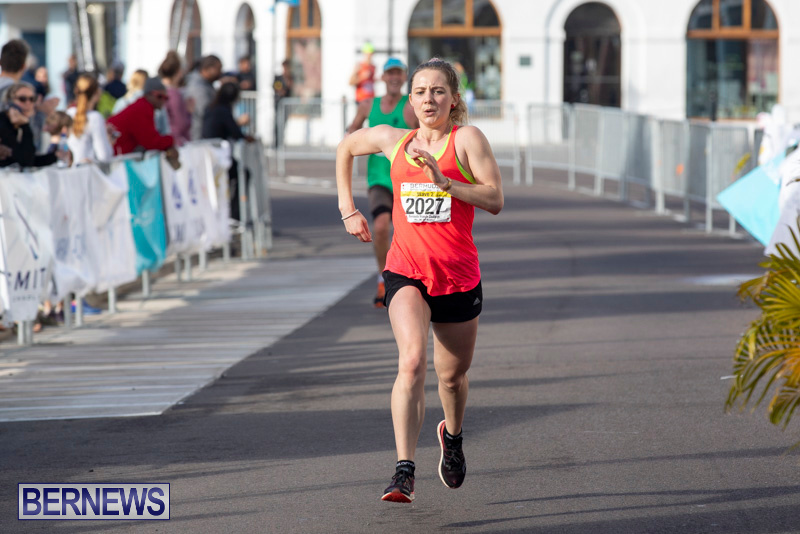 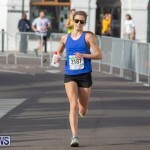 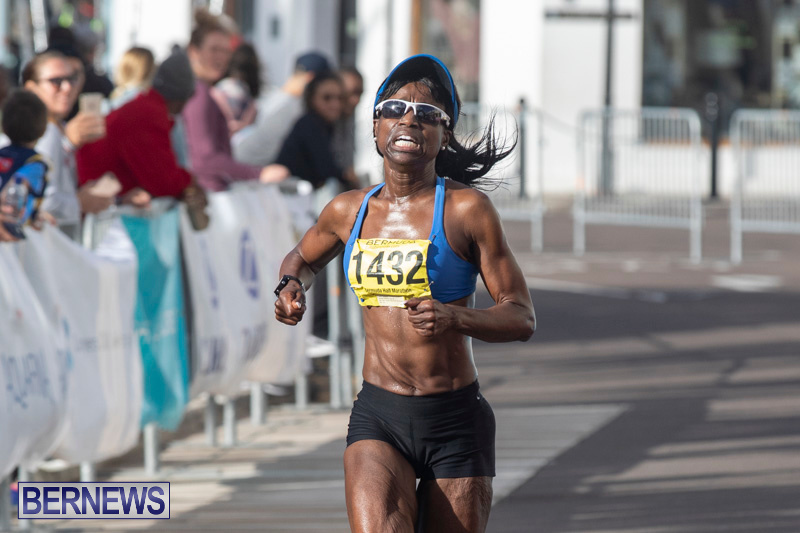 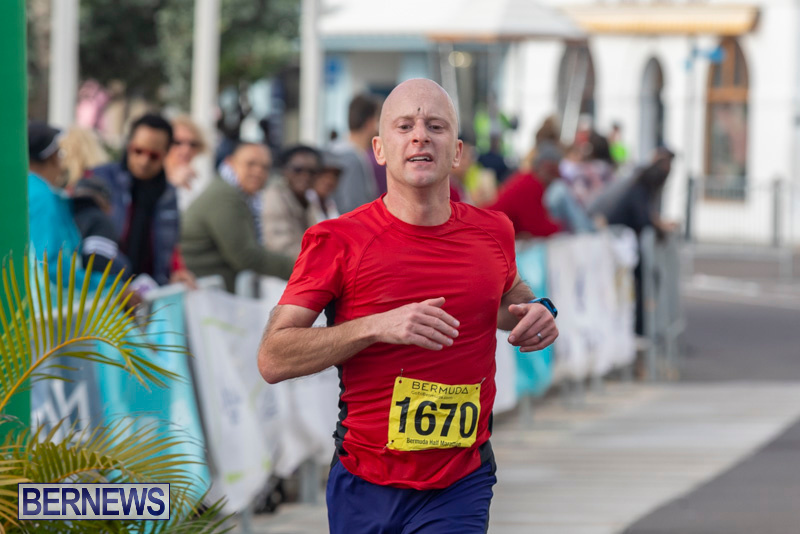 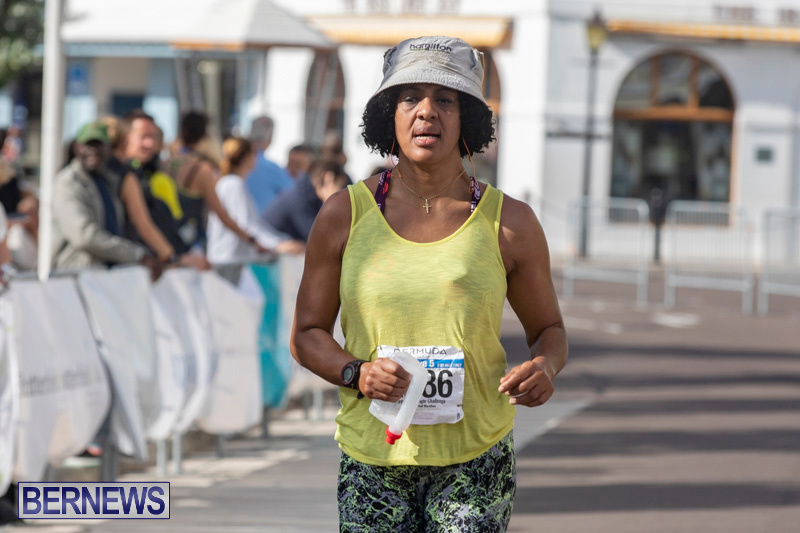 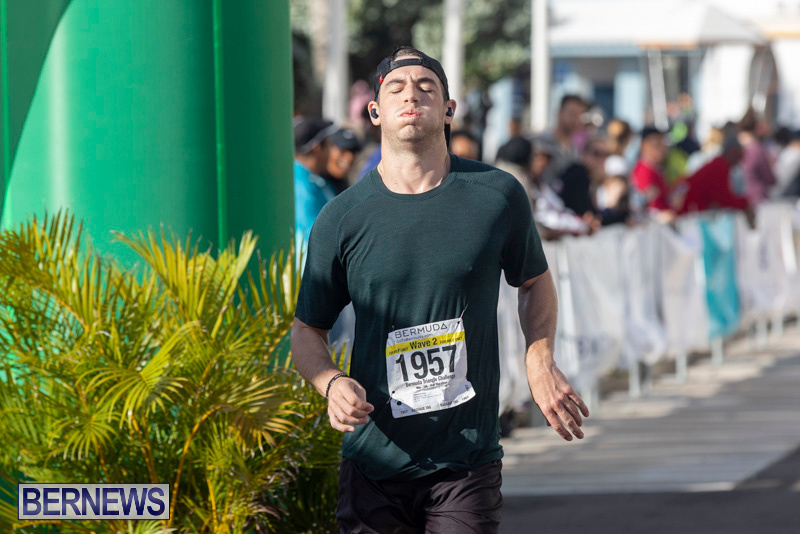 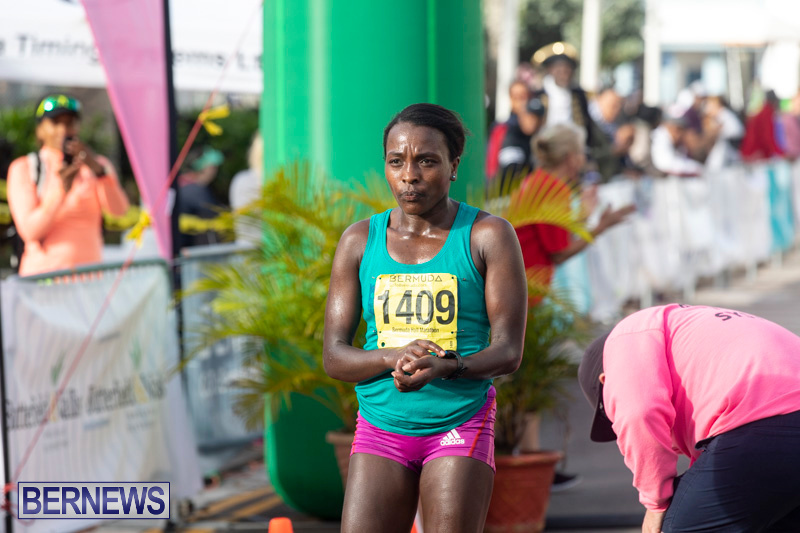 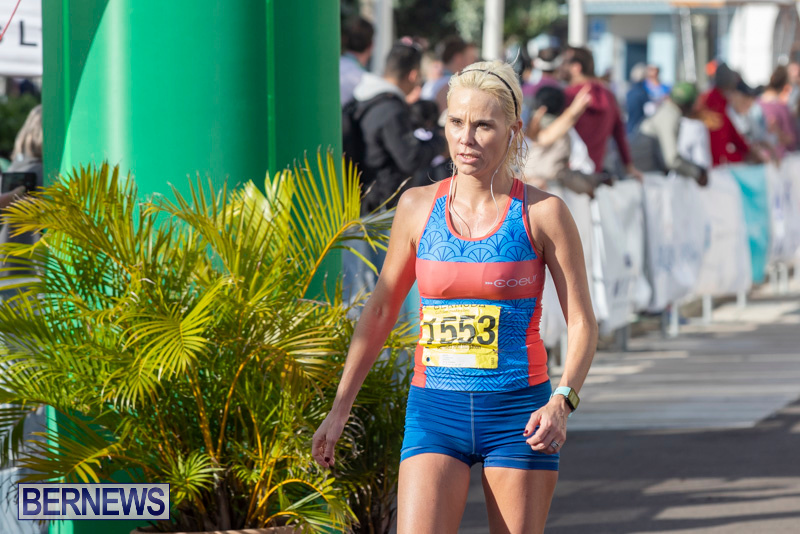 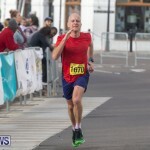 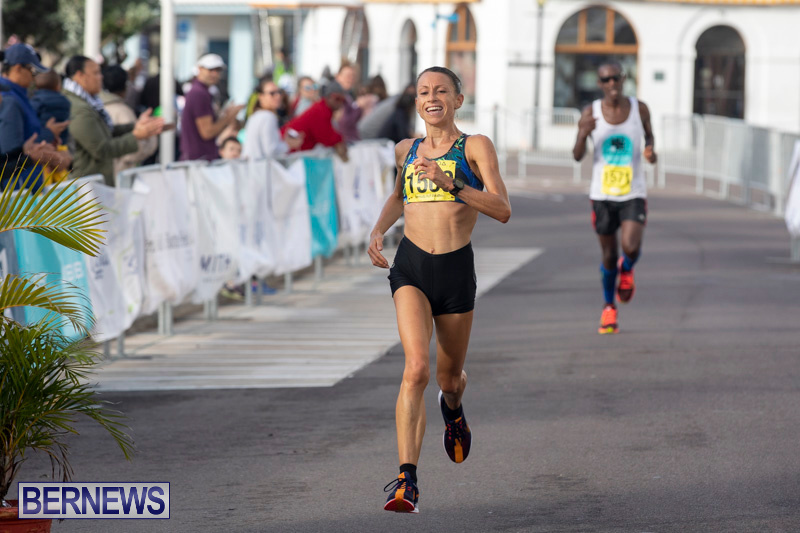 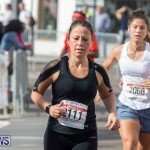 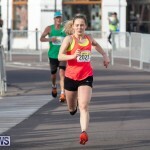 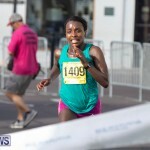 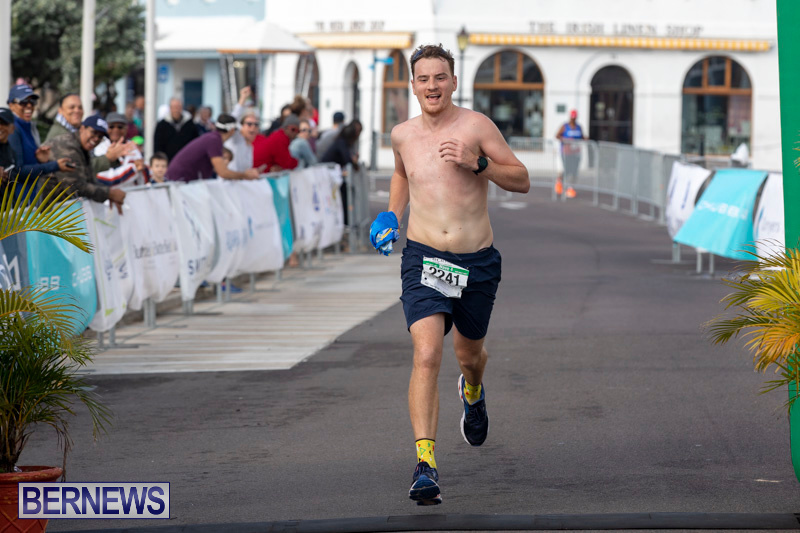 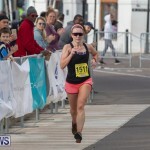 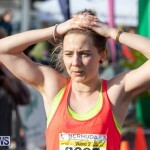 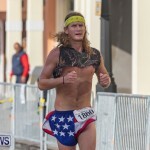 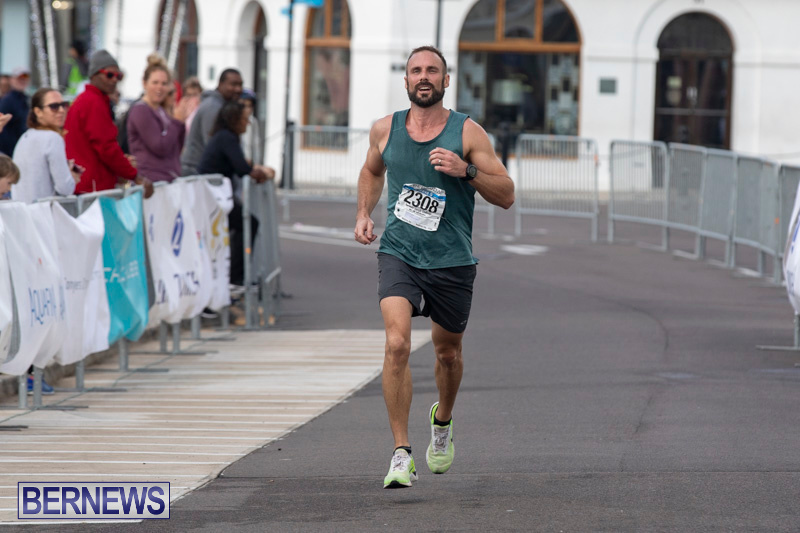 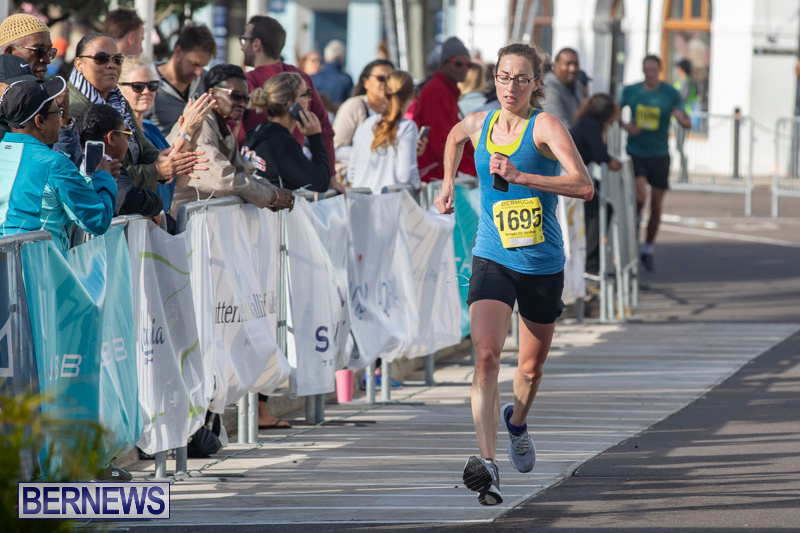 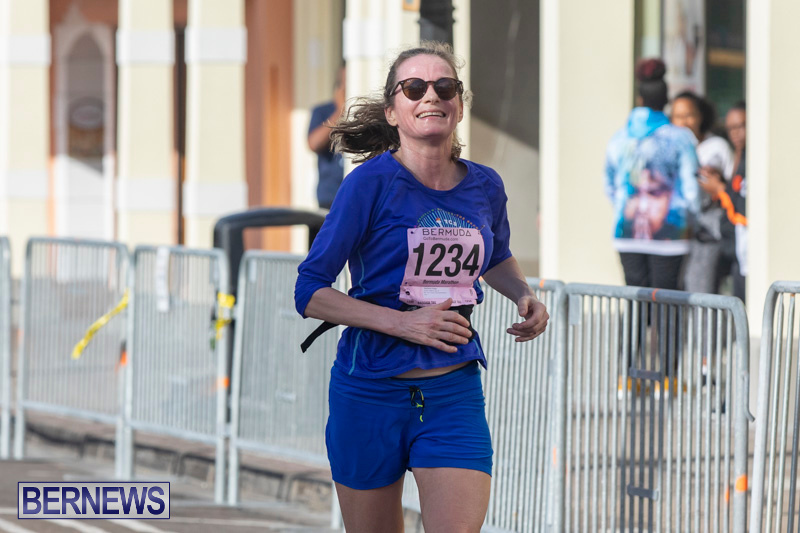 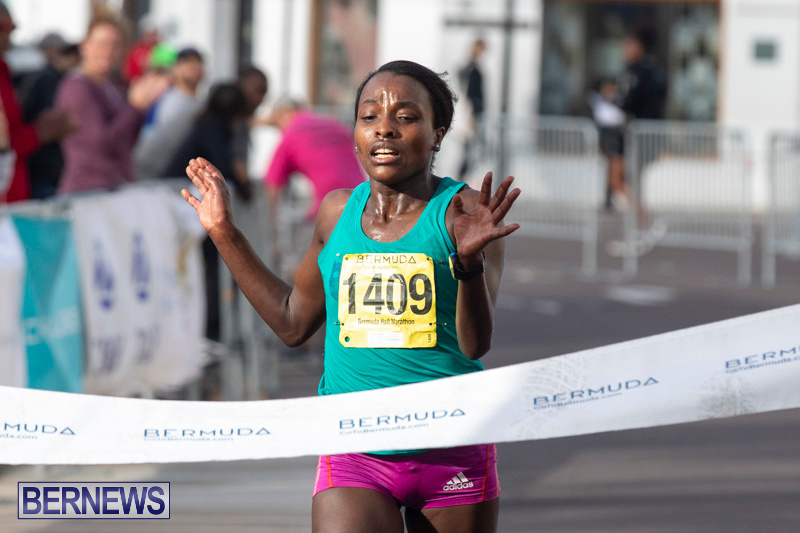 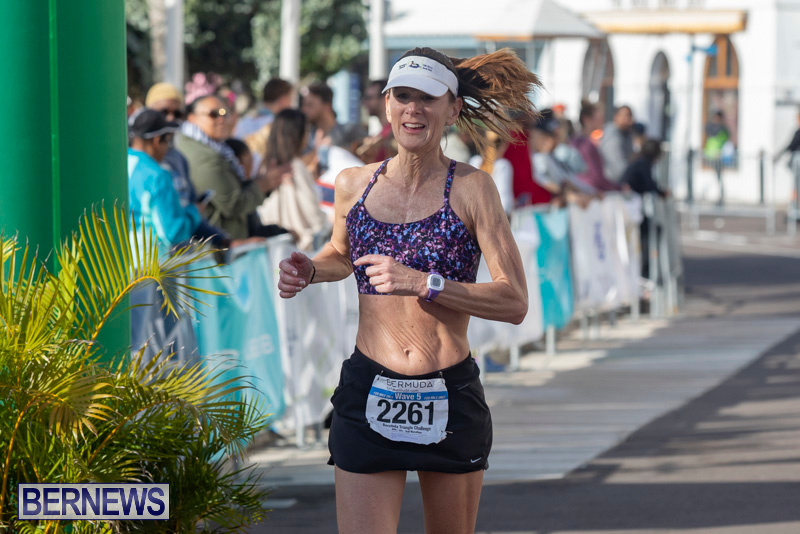 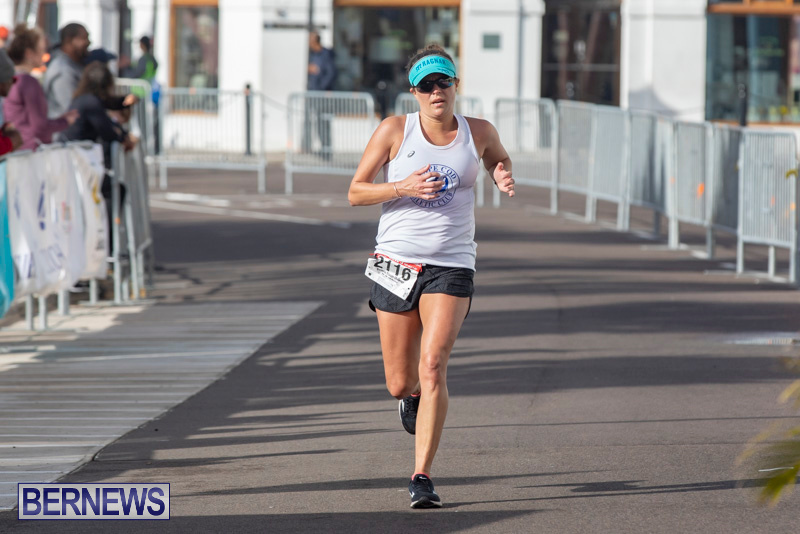 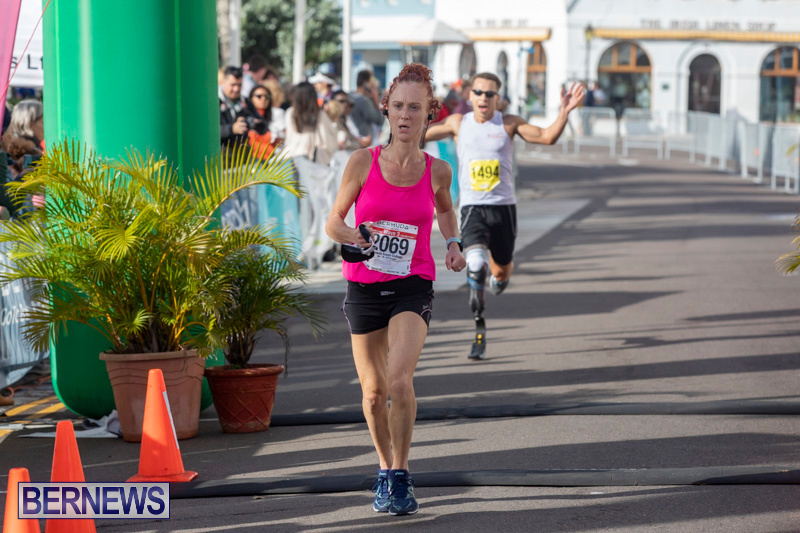 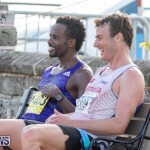 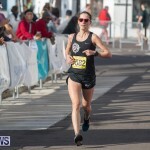 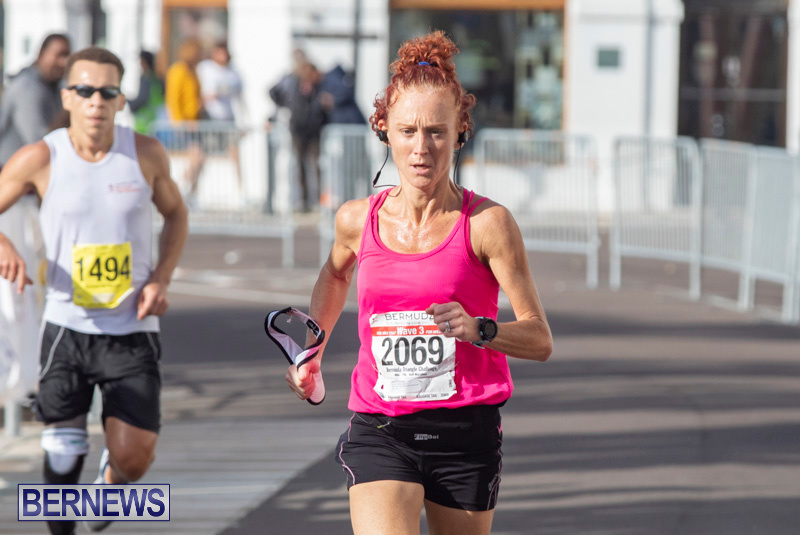 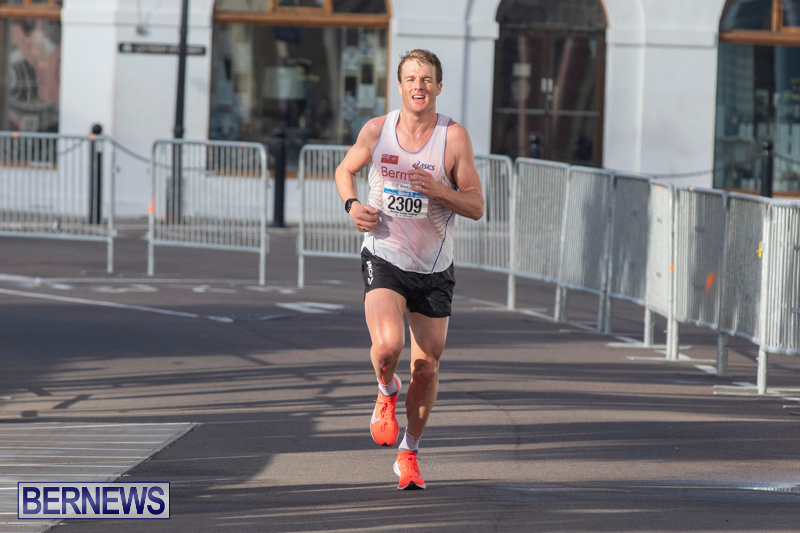 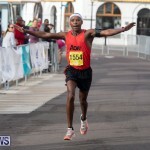 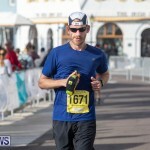 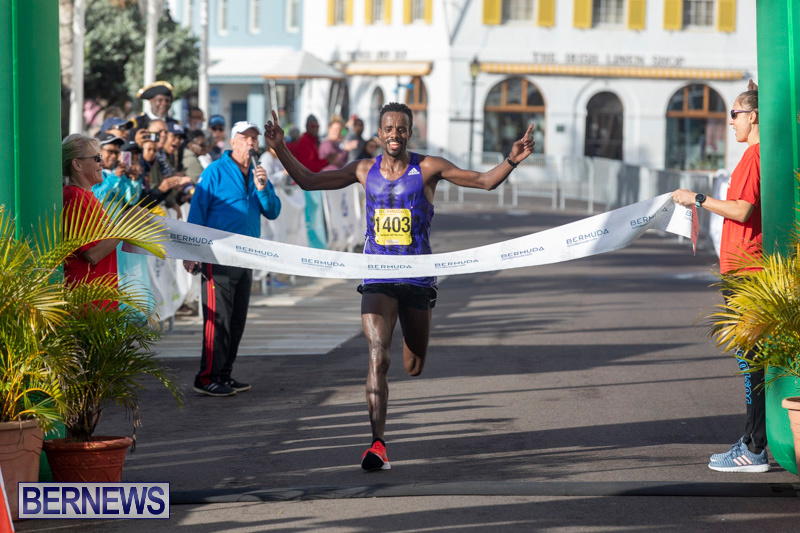 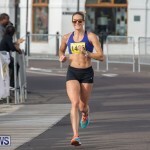 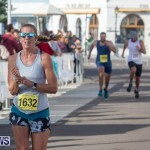 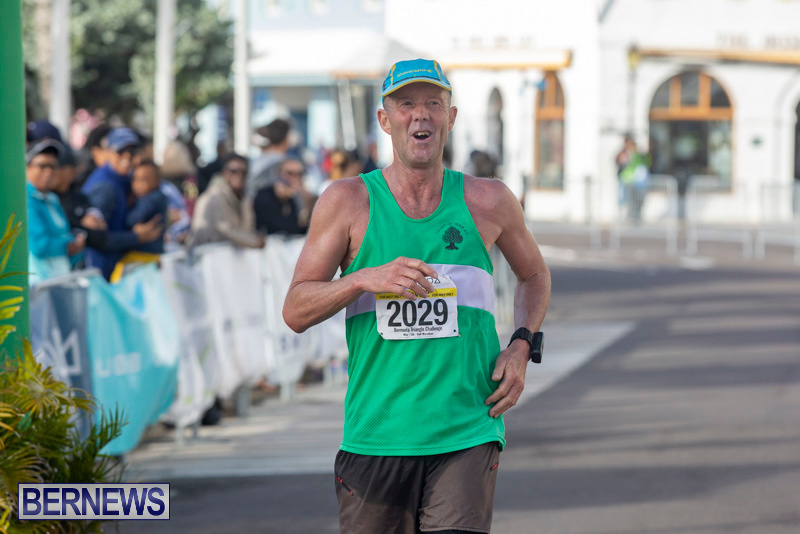 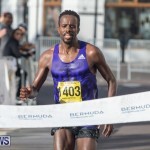 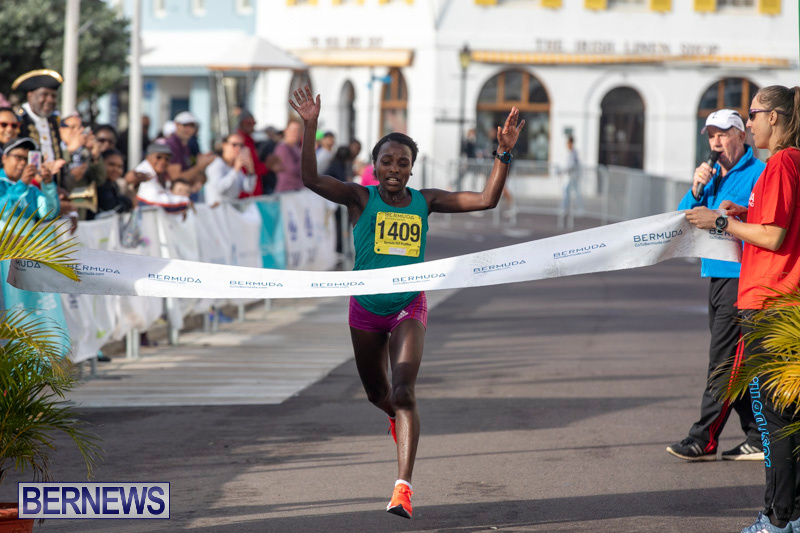 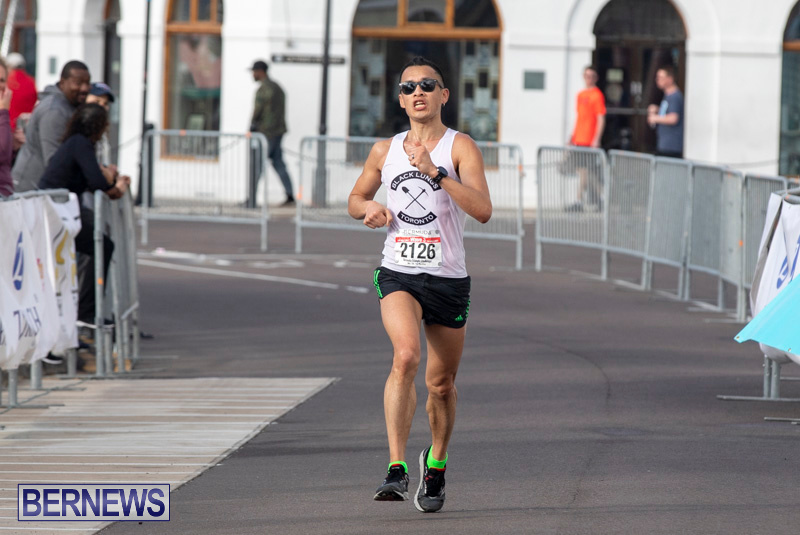 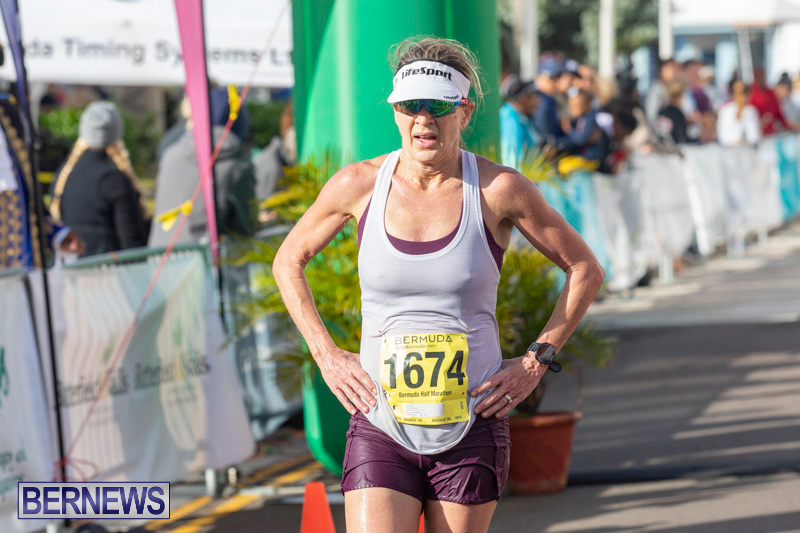 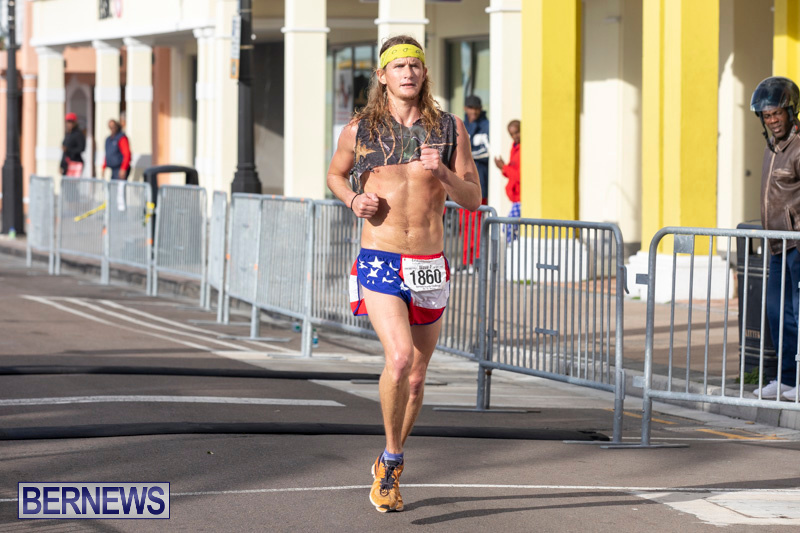 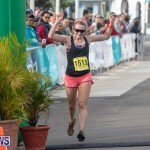 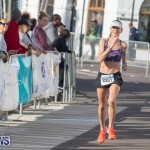 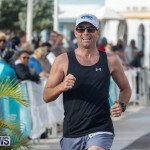 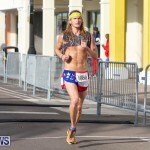 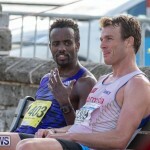 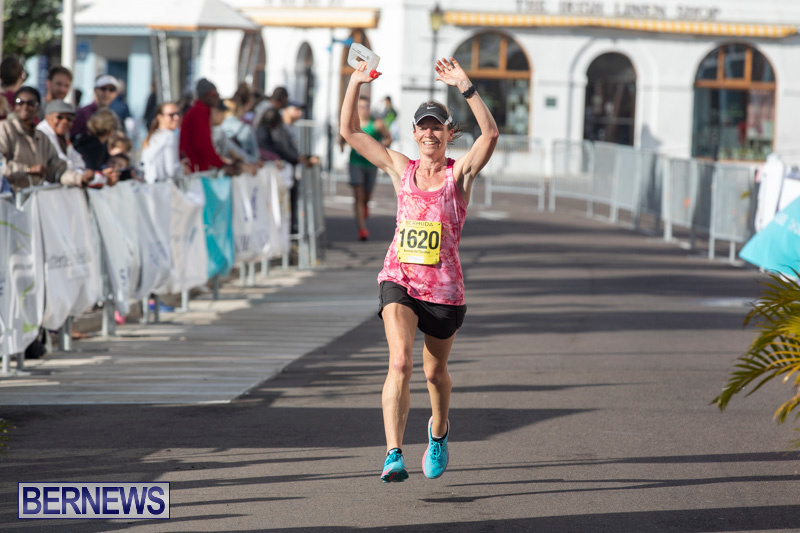 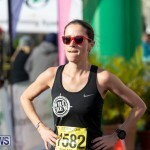 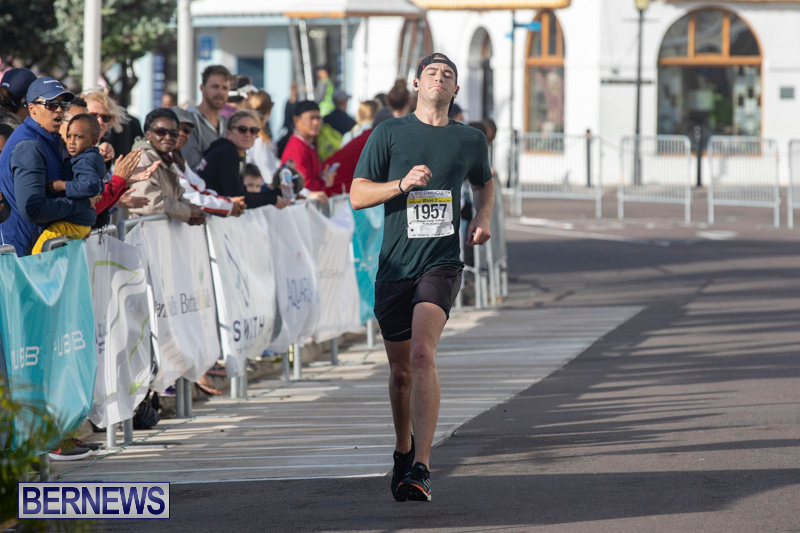 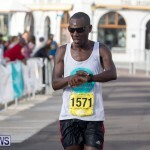 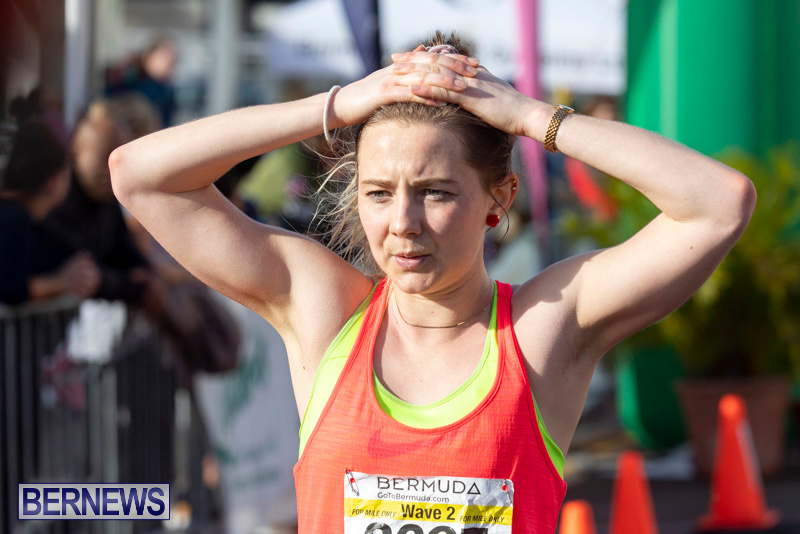 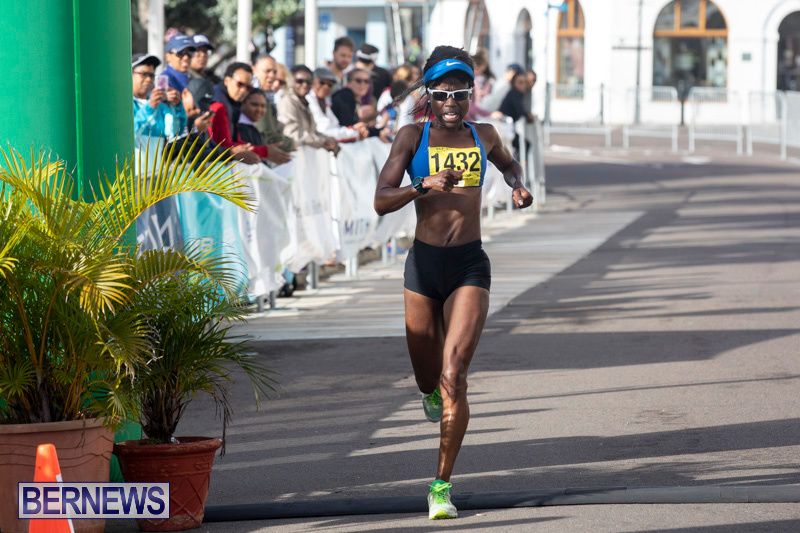 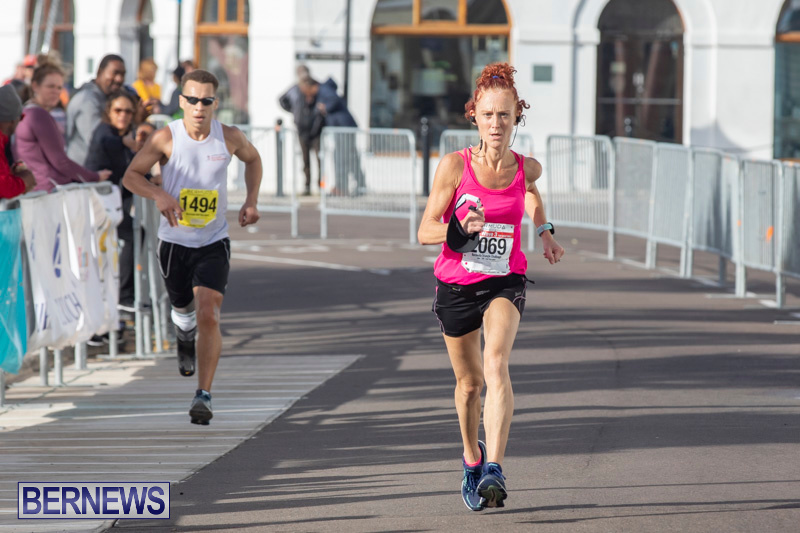 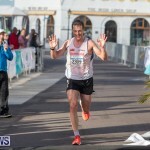 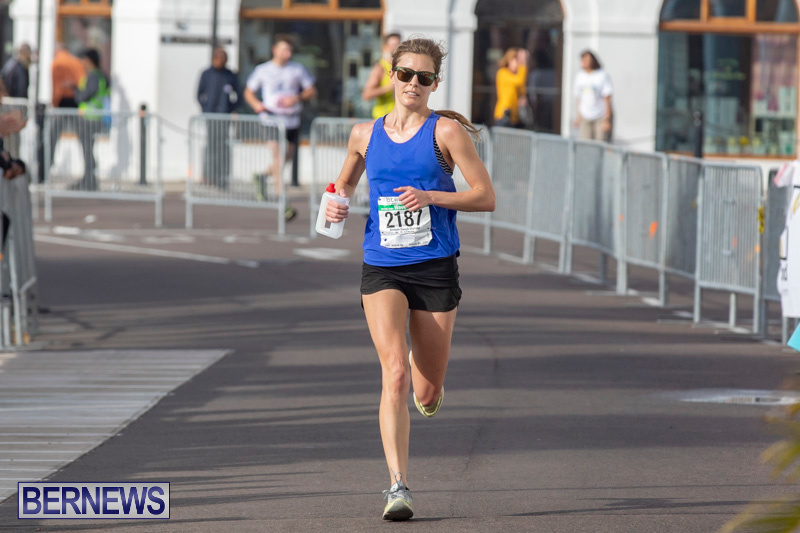 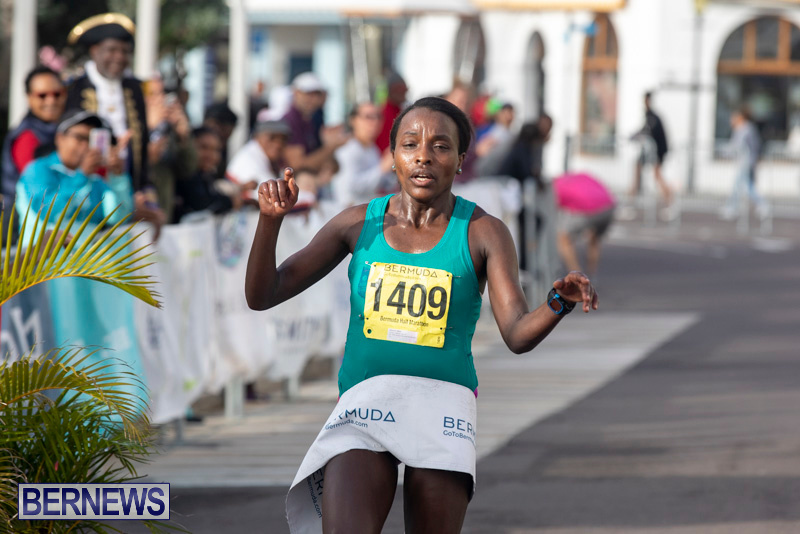 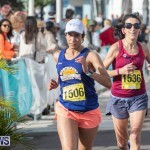 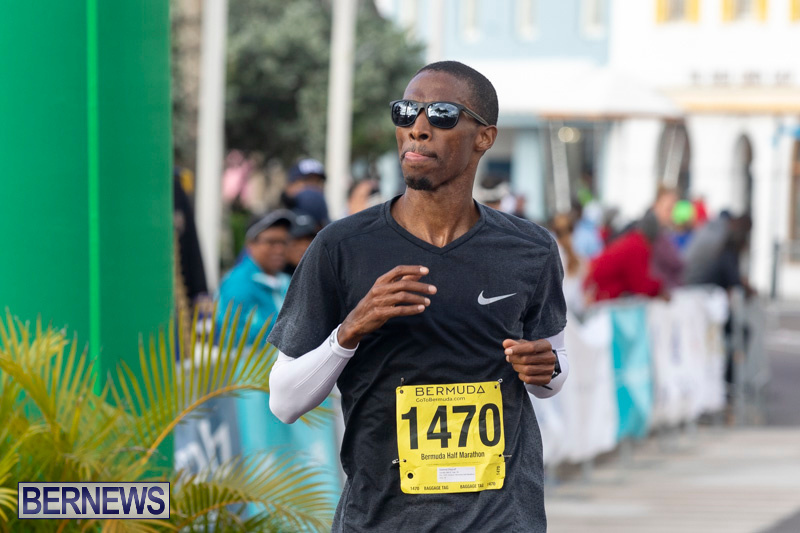 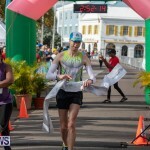 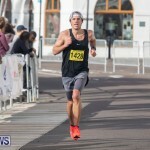 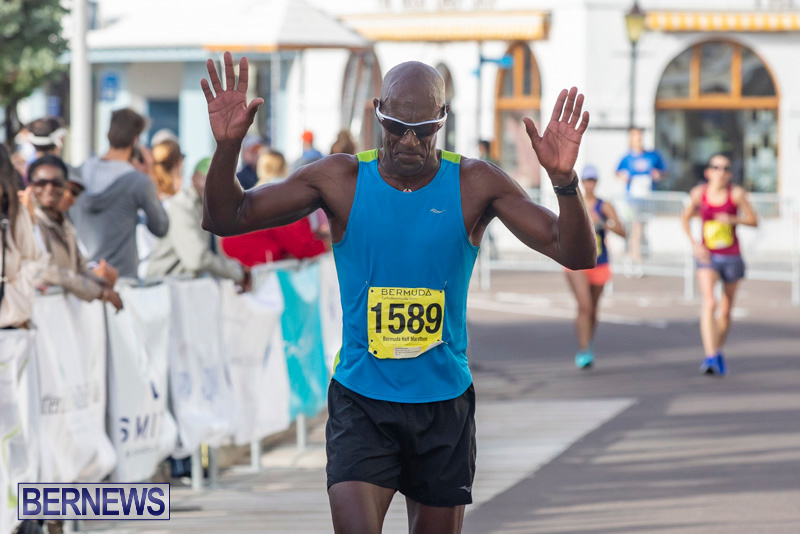 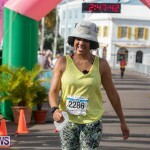 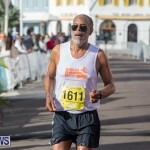 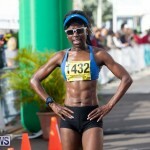 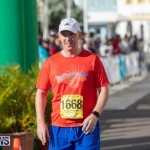 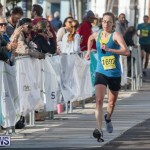 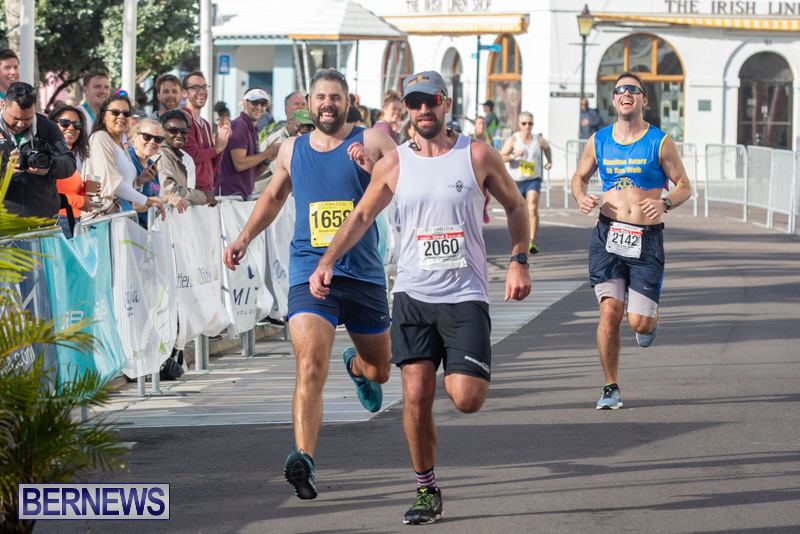 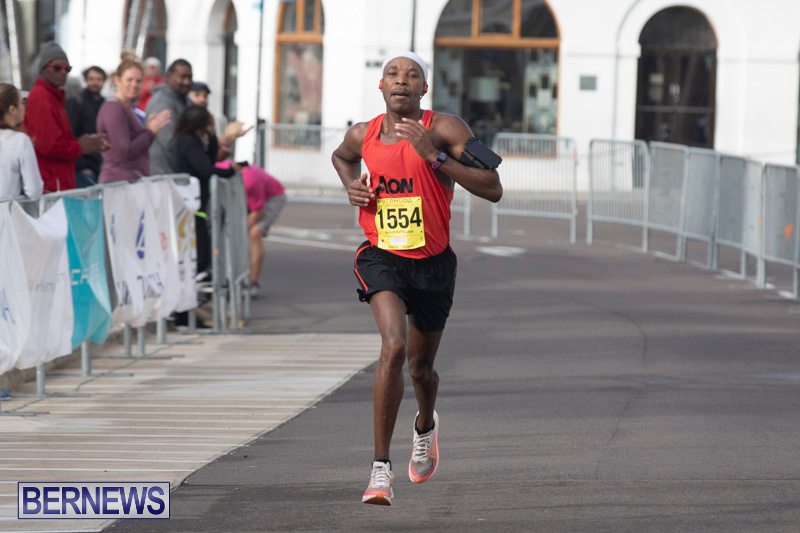 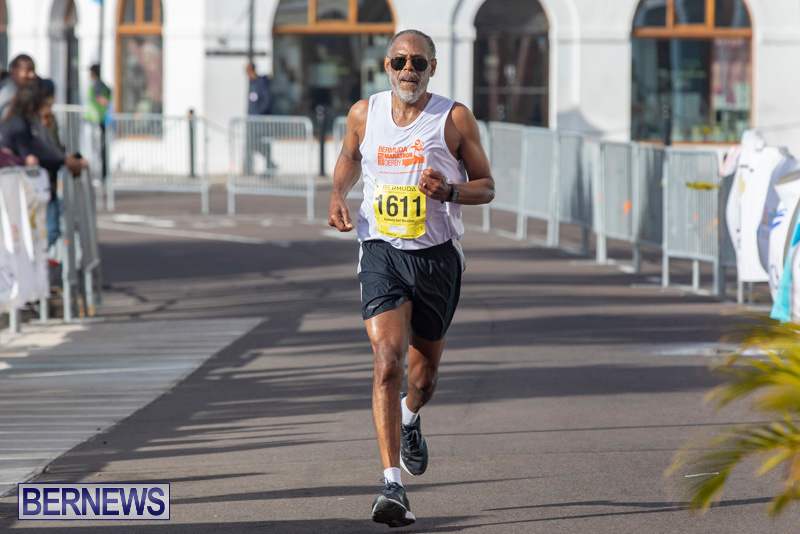 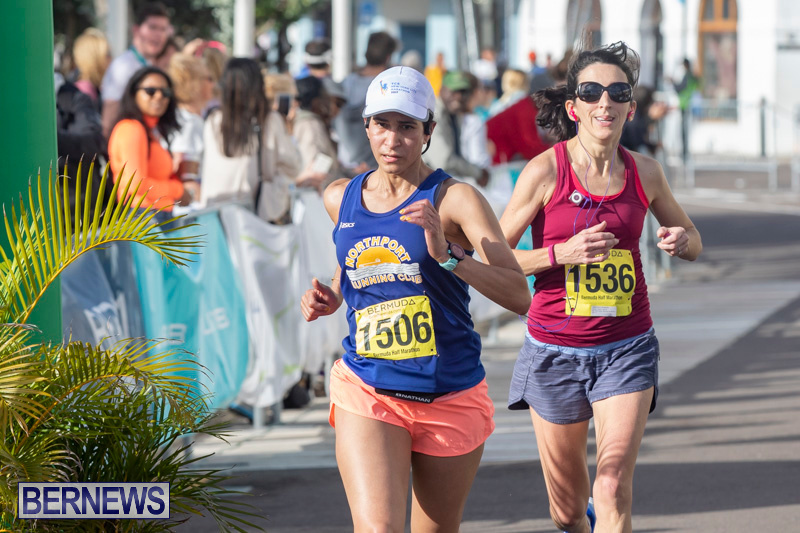 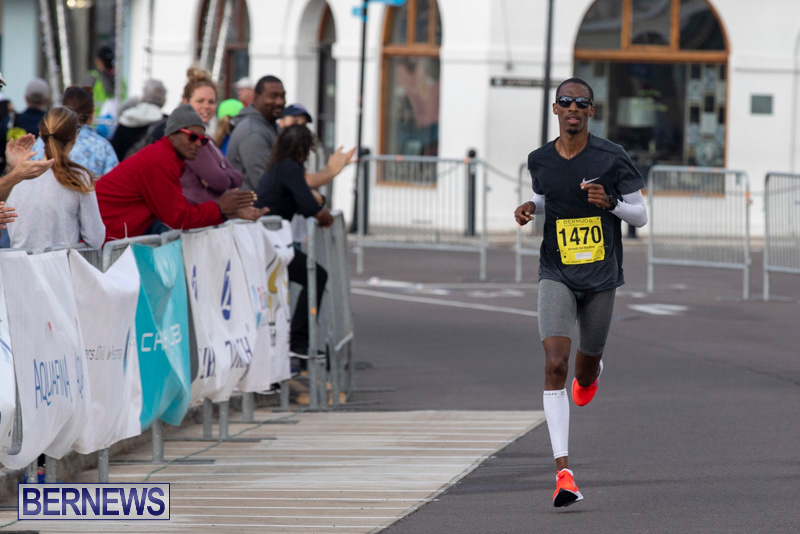 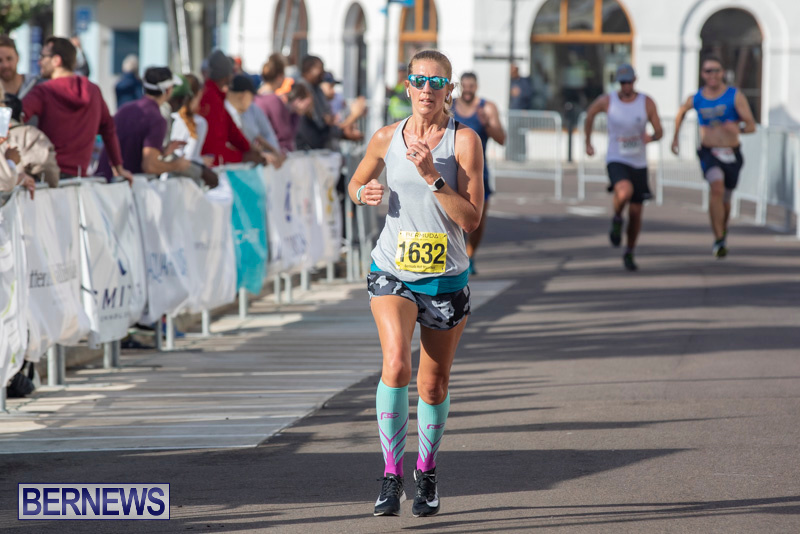 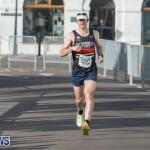 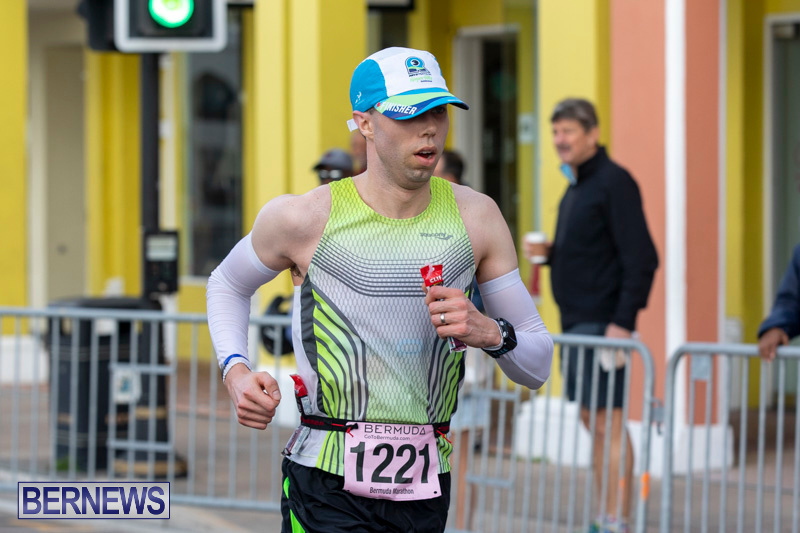 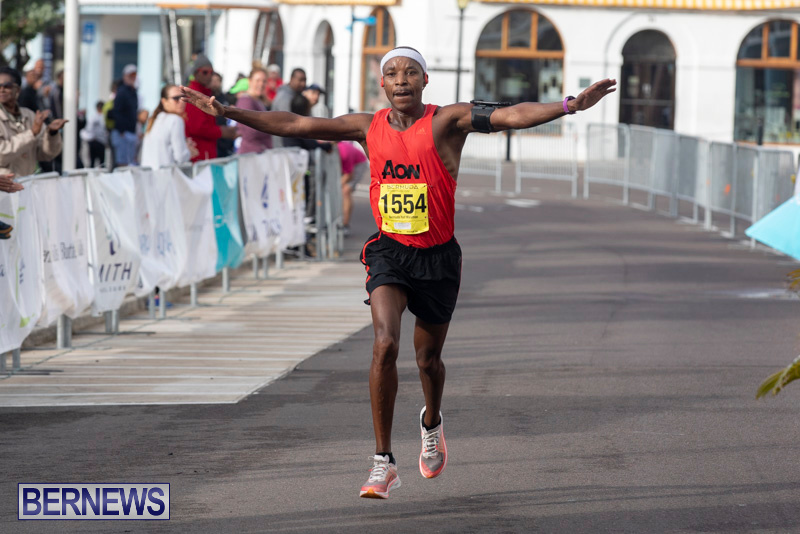 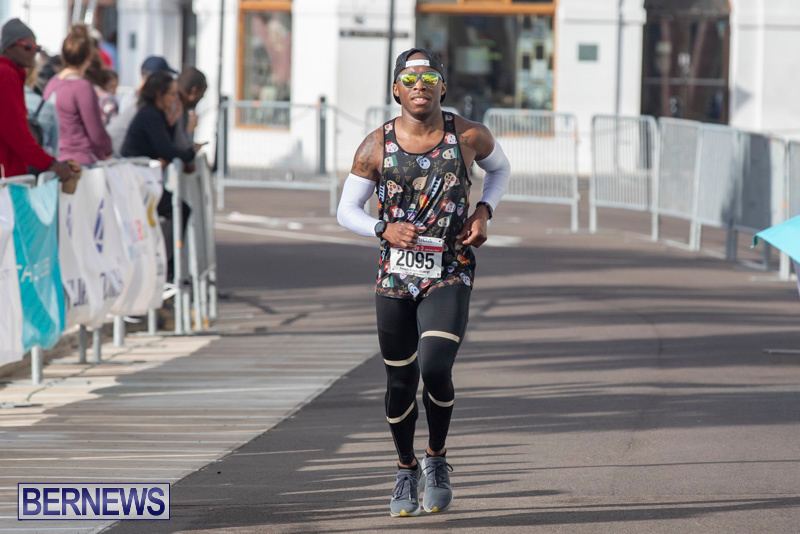 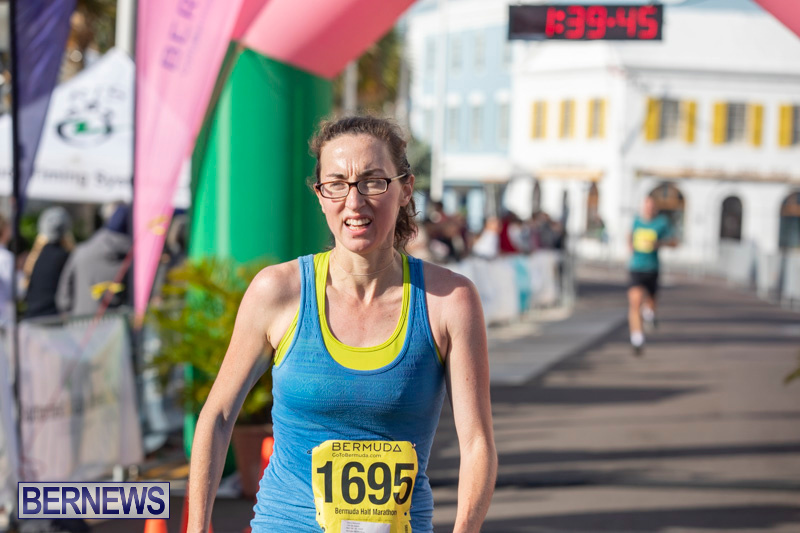 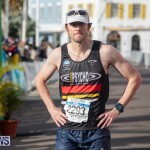 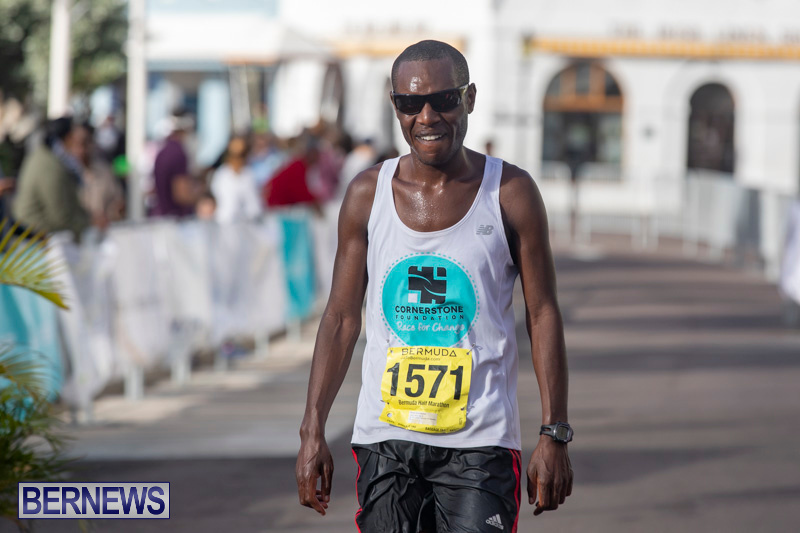 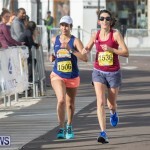 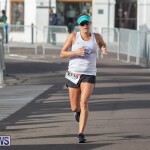 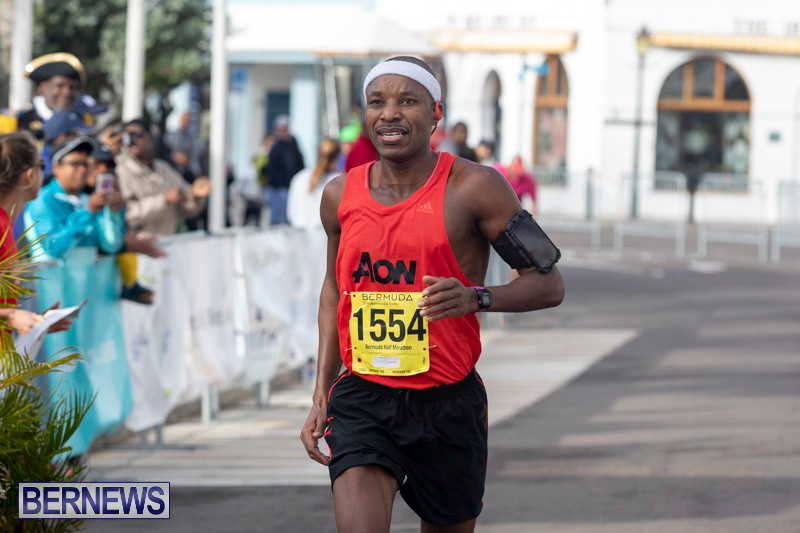 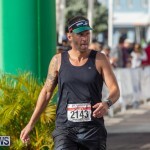 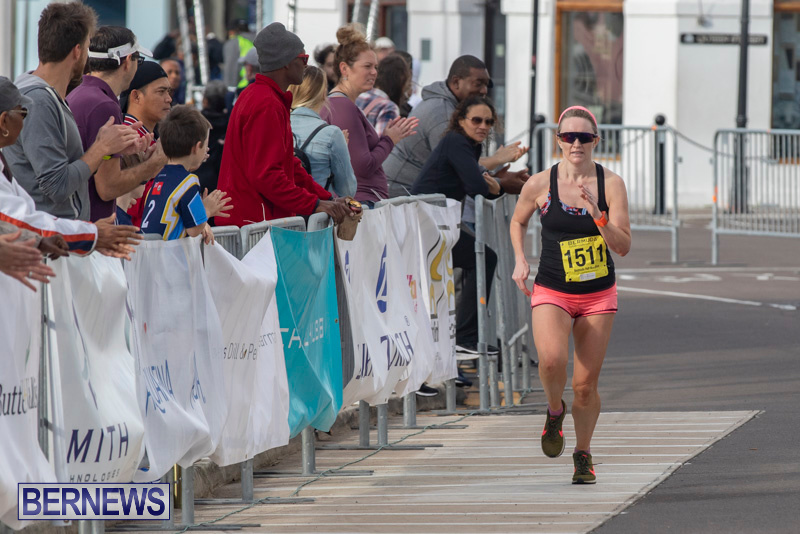 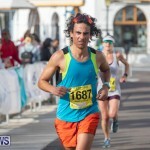 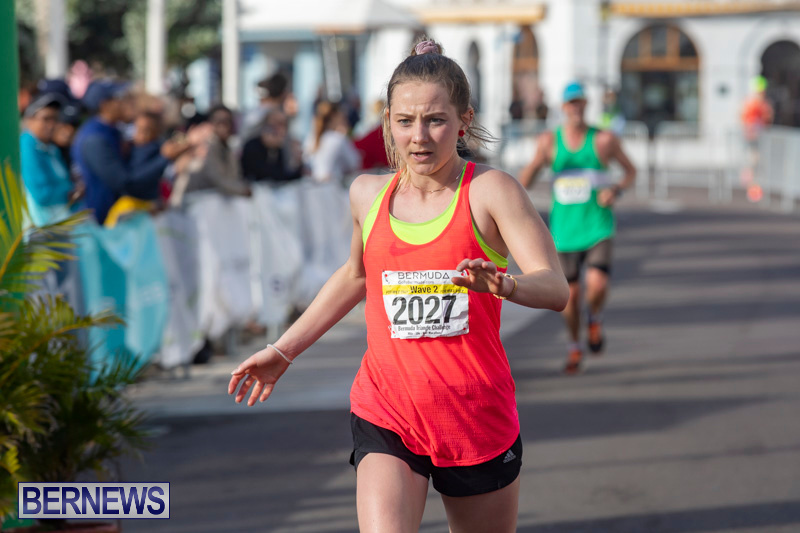 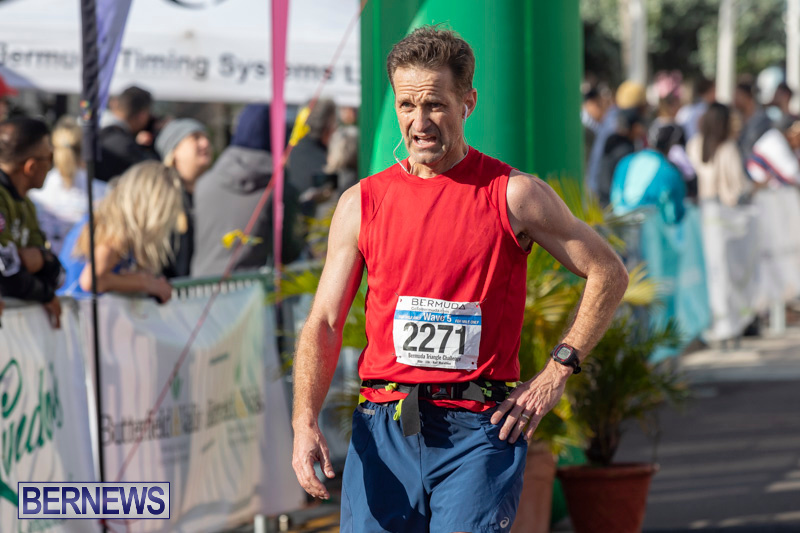 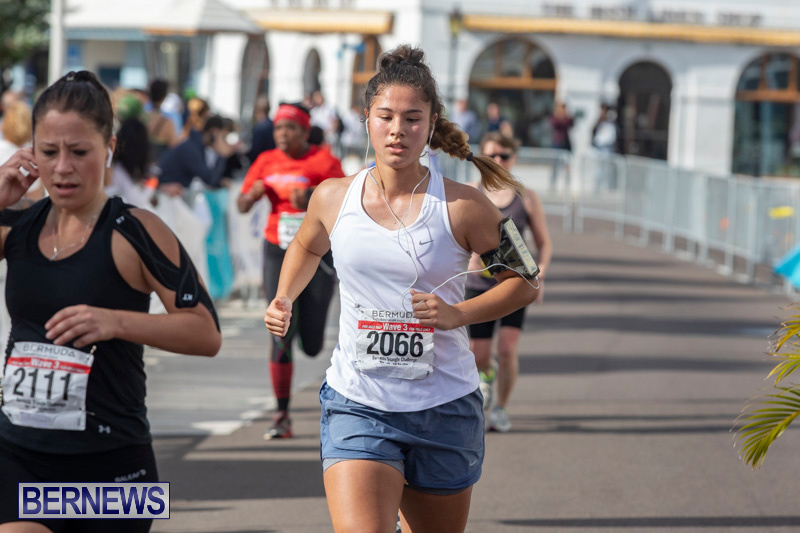 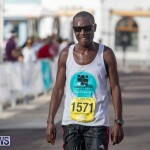 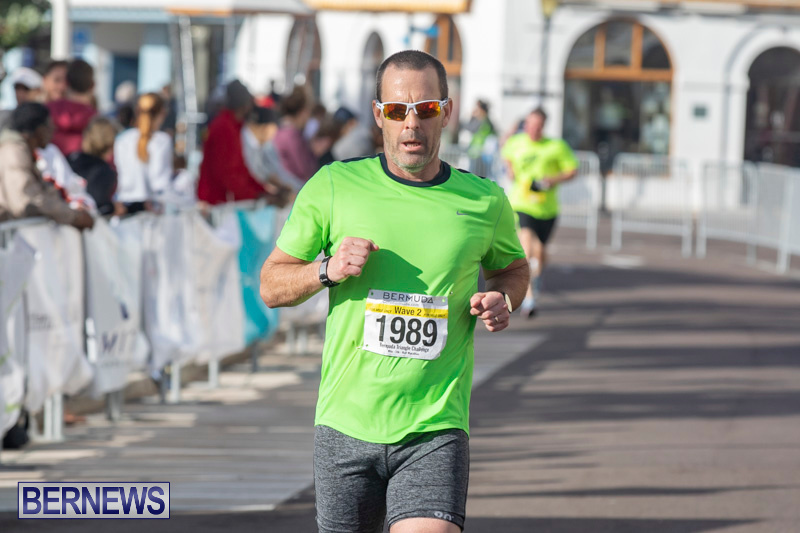 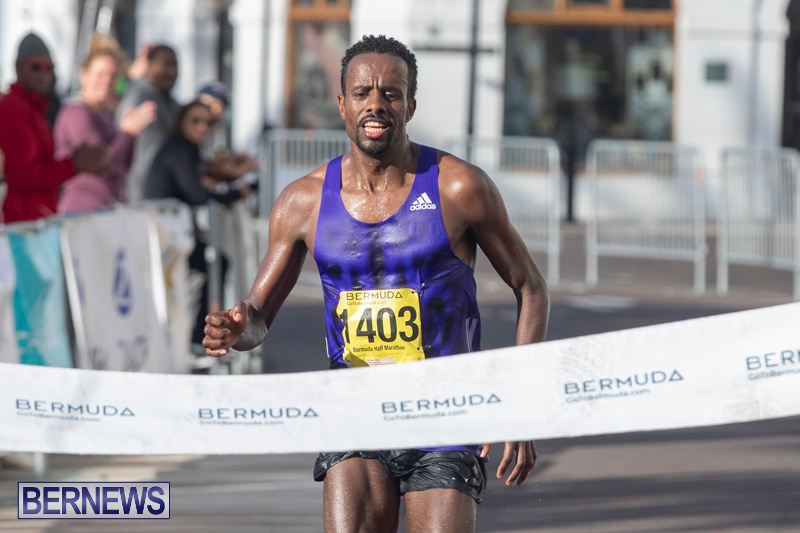 The 2019 Bermuda Marathon Race Weekend concluded on Sunday [Jan 20], with the 10K Male and Female winners Suleman Shifa and Meseret Basa being crowned the Half Marathon Champions and Greg Cartmell and Stephanie Hodge being crowned the Male and Female Full Marathon Champions. 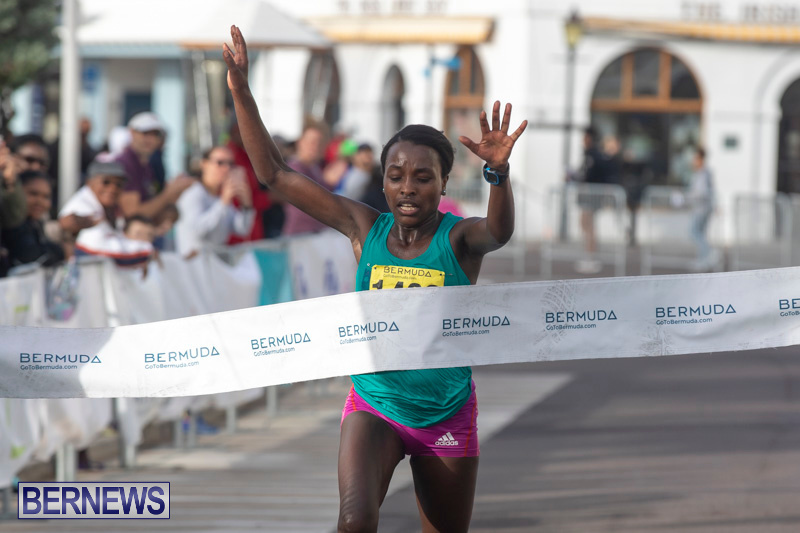 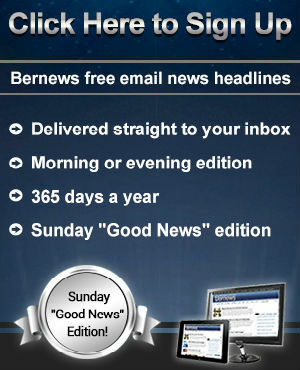 Shifa crossed the line in a time of 1:10:58, Bermuda’s Tyler Butterfield was second in 1:11:36 and Dennis Mbelenzi finished third with a time of 1:16:34. 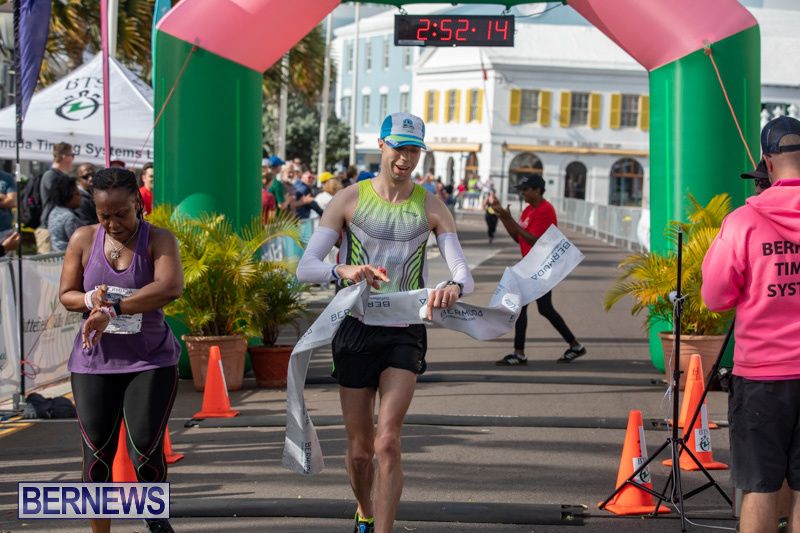 Basa was the sixth runner to cross the line with a time of 1:19:33, Heather Kampf was the second female finisher and 15th overall stopping the clock in 1:26:25 and finishing 18th overall was the third female finisher Rose-Anna Hoey who was clocked at 1:28:28. 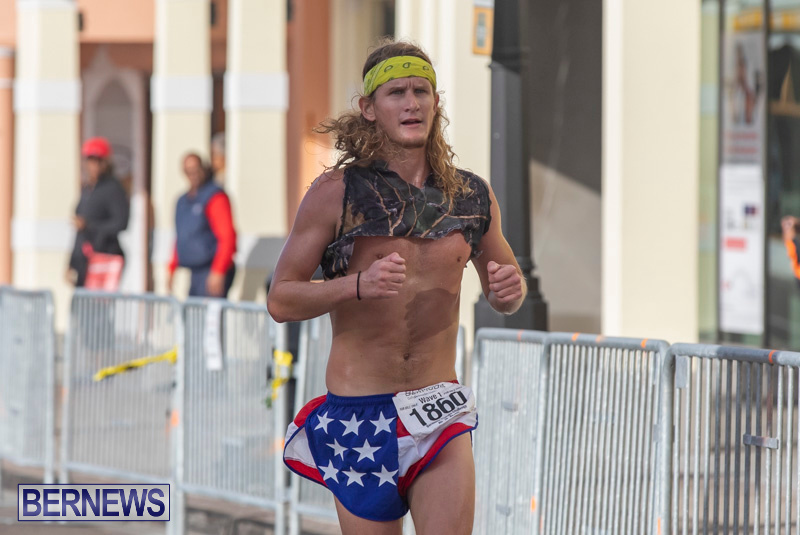 Cartmell completed the two loop course in a time of 2:52:12, David Langen was second with a time of 3:05:22 and Alex Egan finished third with a time of 3:12:18. 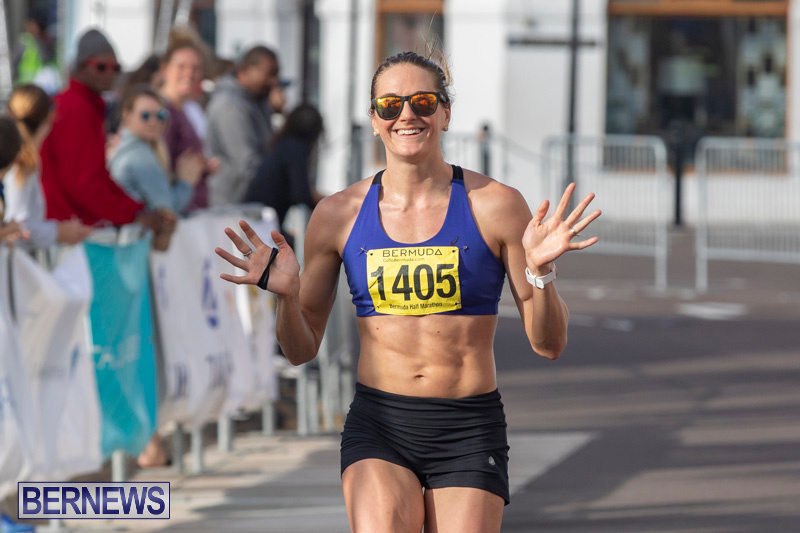 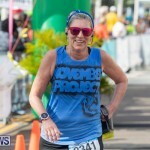 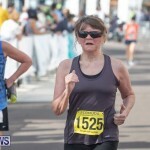 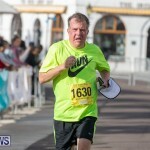 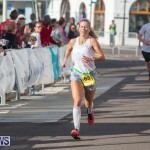 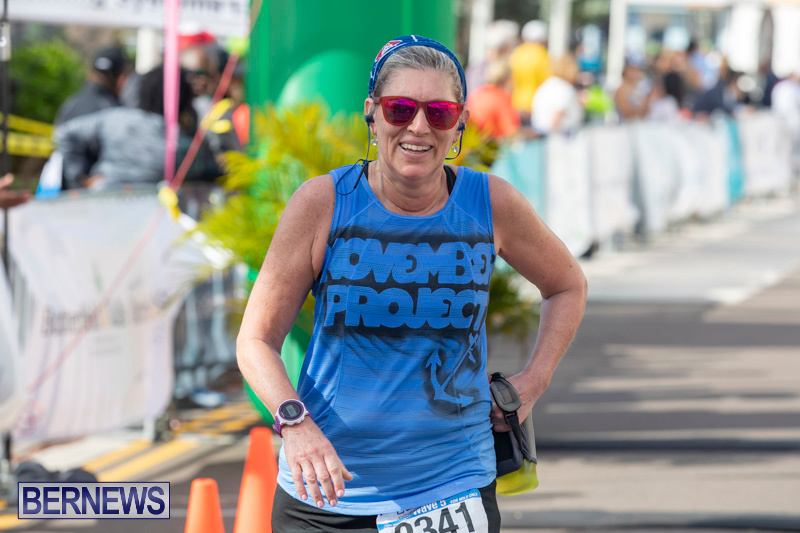 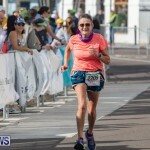 Hodge was 10th overall with a time of 3:31:02, Leana Coetsee was the second female finisher and 19th overall with a time of 3:53:07 and Cindy Lewandowski was the third female finisher and 22nd overall in a time of 3:54:48. 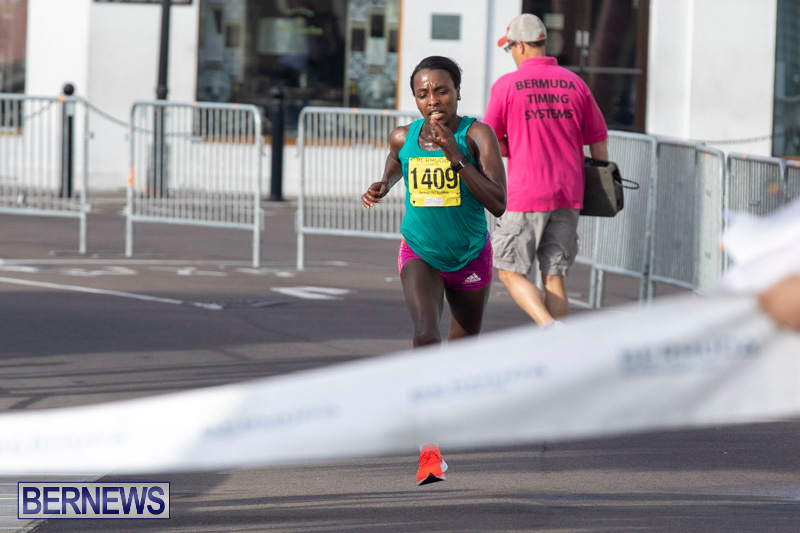 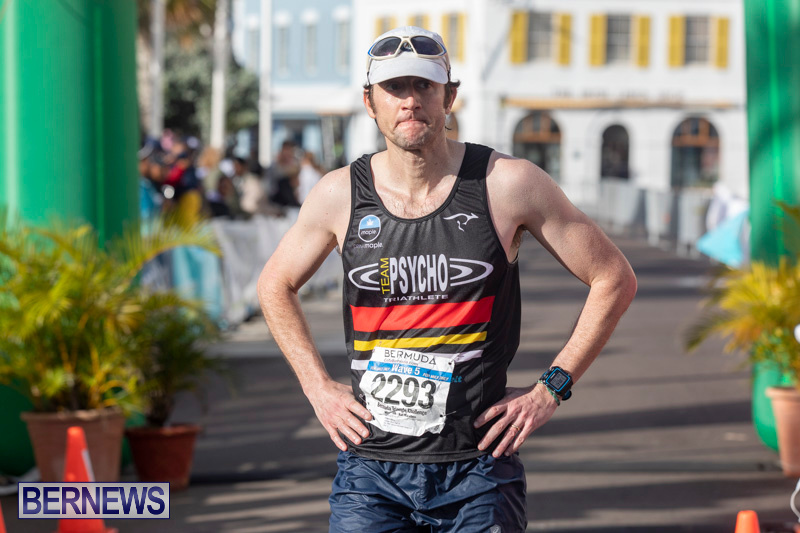 The full 2019 Bermuda Race Weekend Full Marathon results can be found here [PDF].